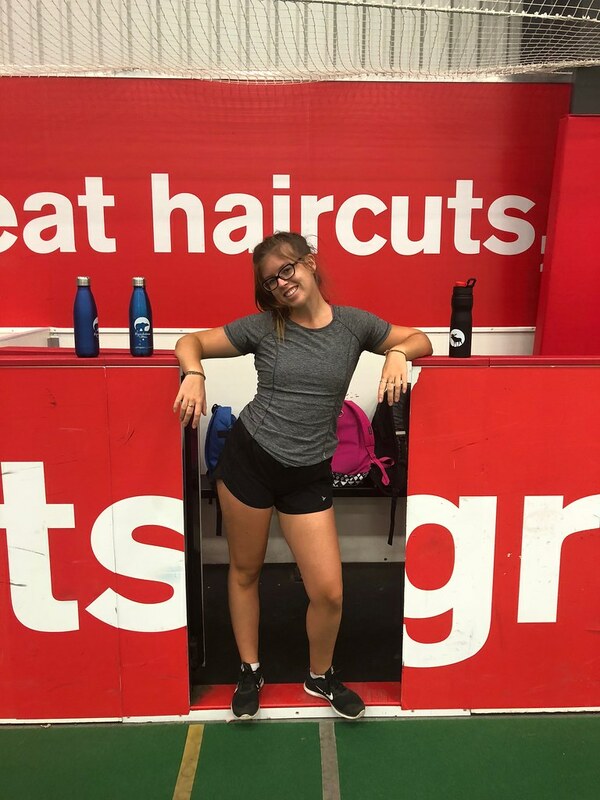 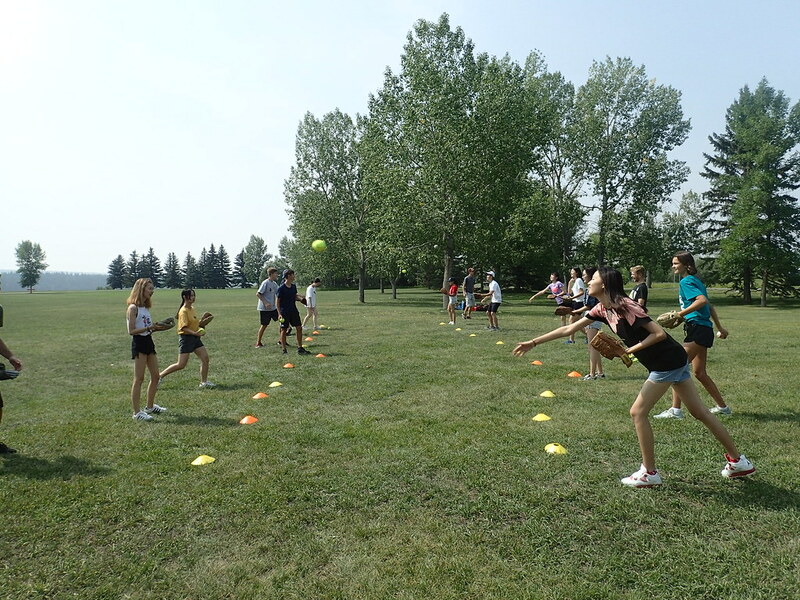 Today at Wynchemna, the Owls had their first full day of sports! 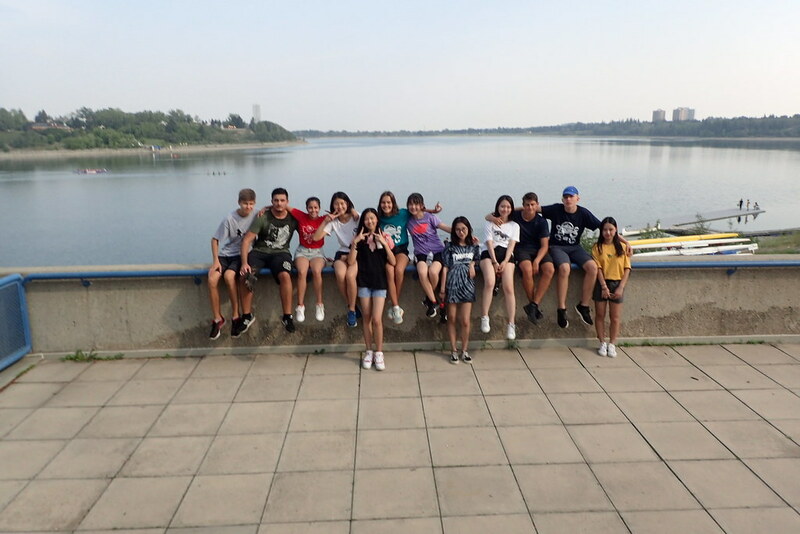 Following the usual scrumptious breakfast, the students had three exciting lessons. They learned about personality, celebrities, and career planning! 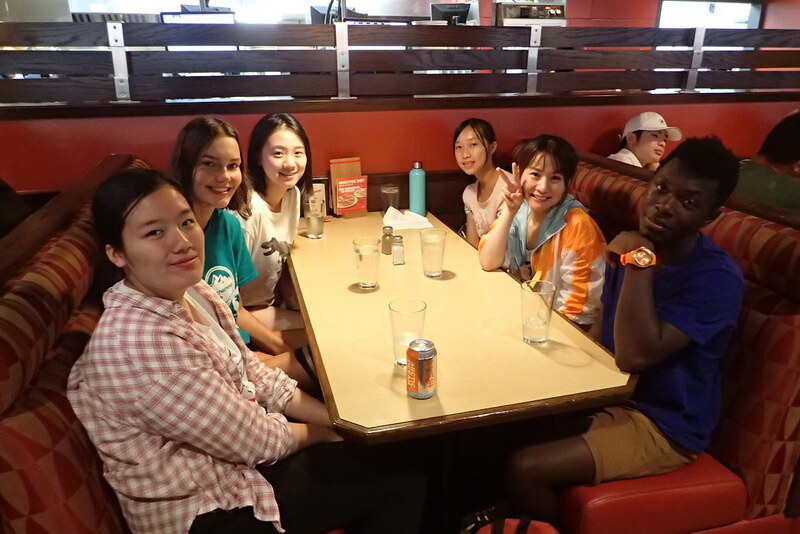 After the lessons, they filled their bellies before hopping on the bus to start the day’s sports. 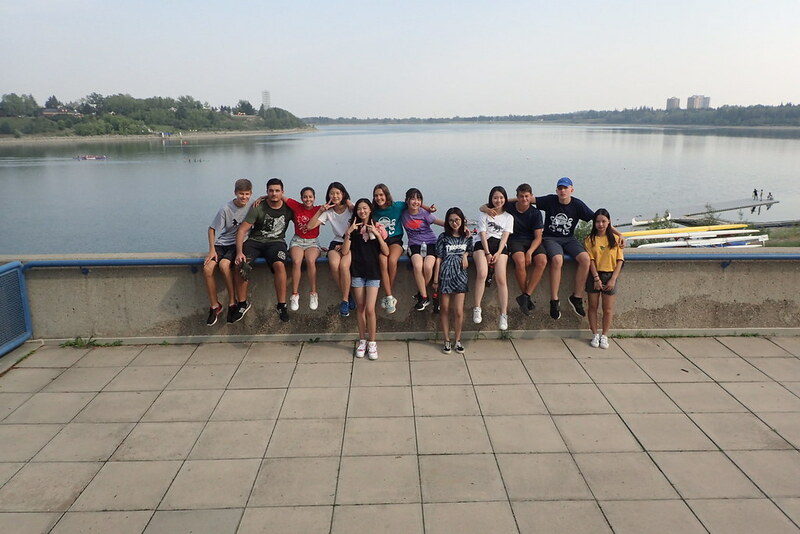 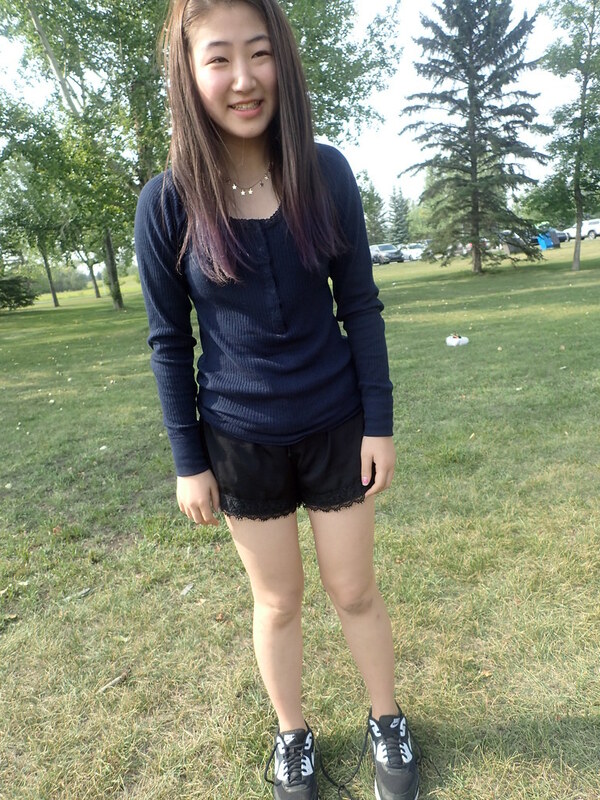 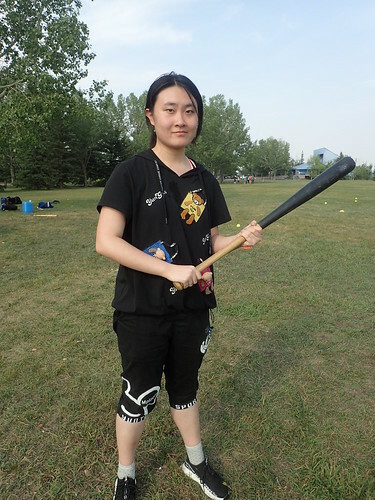 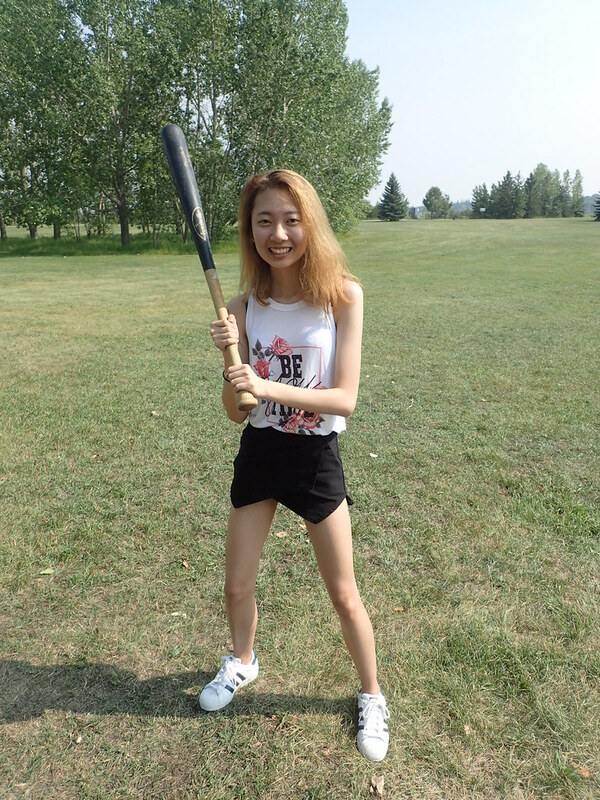 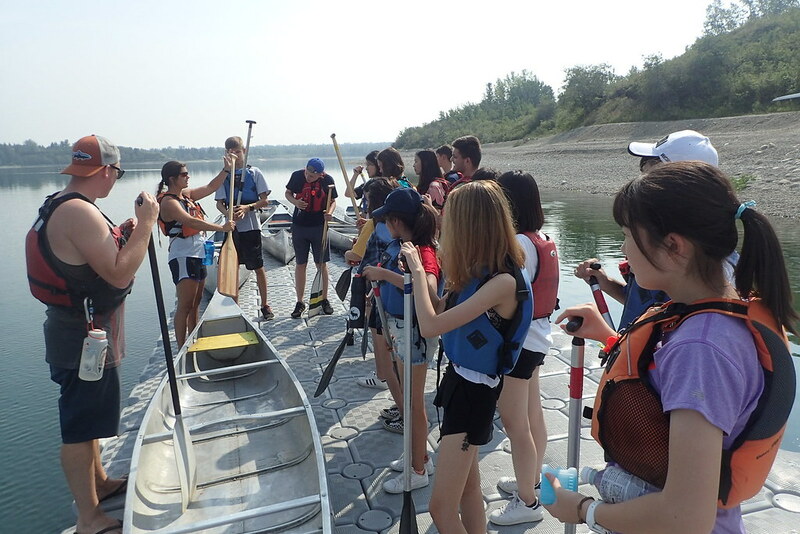 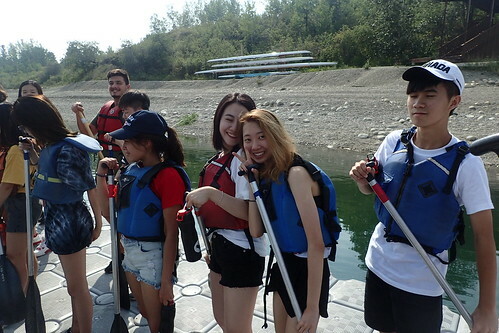 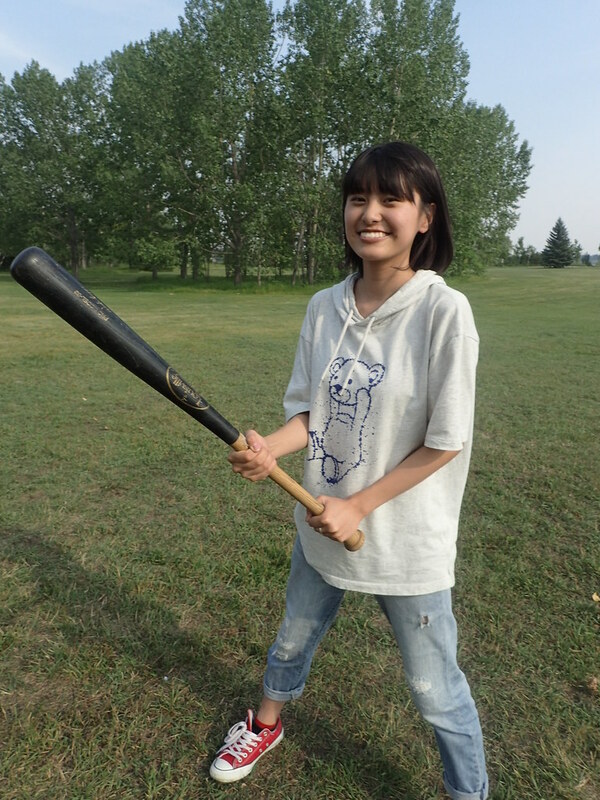 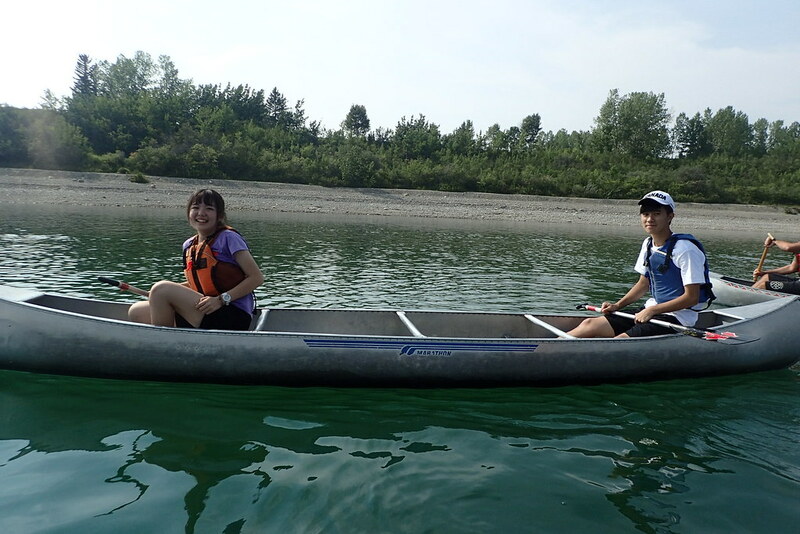 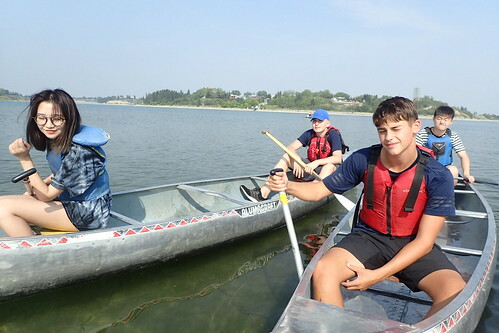 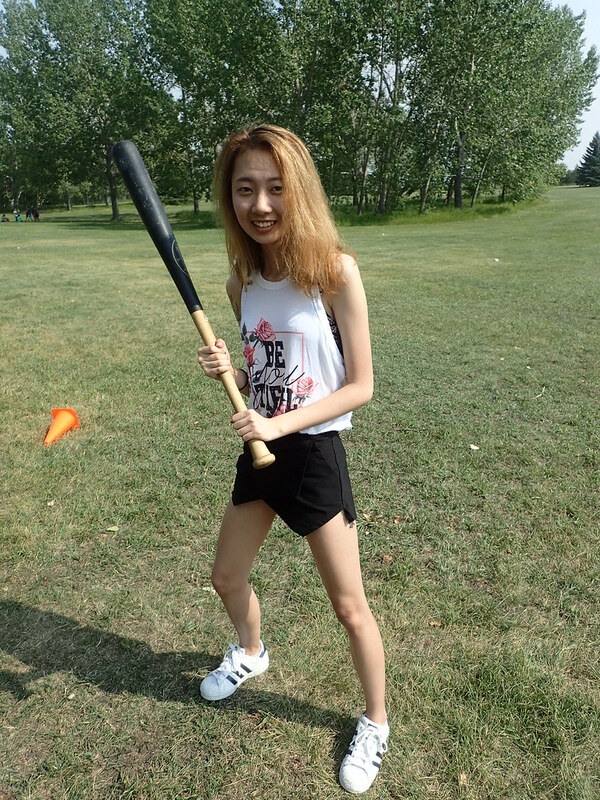 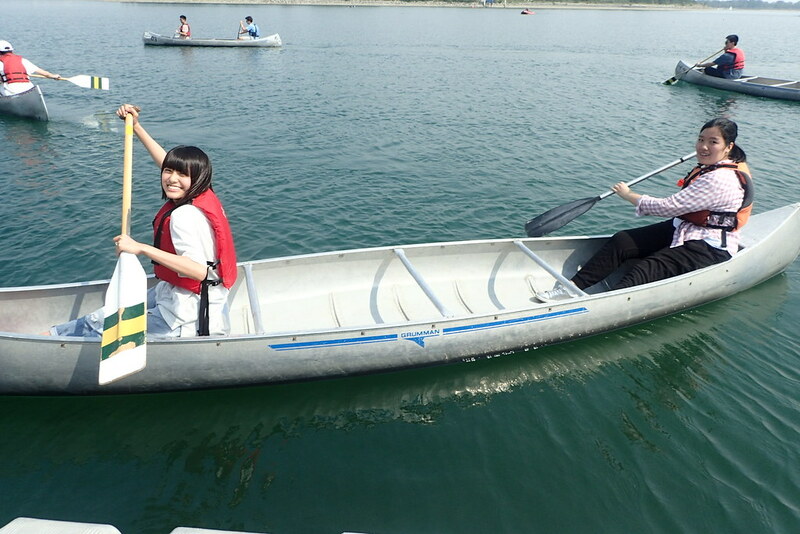 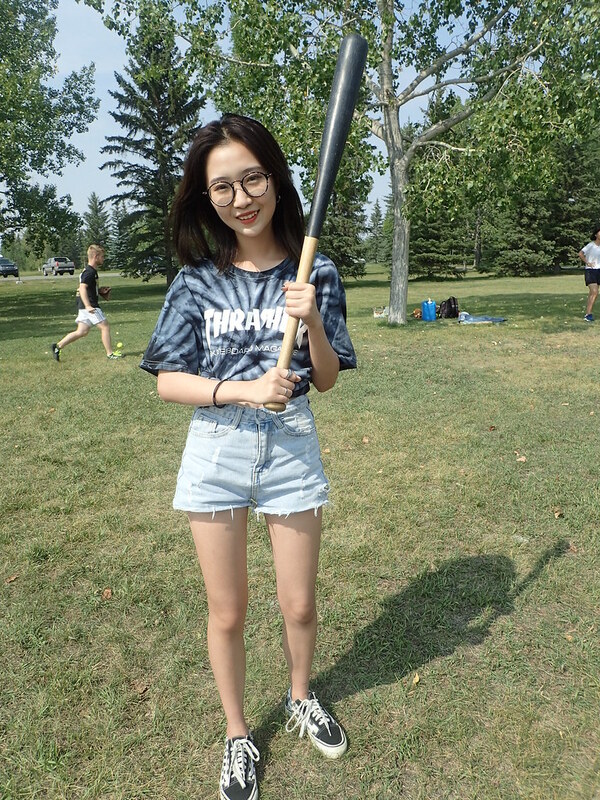 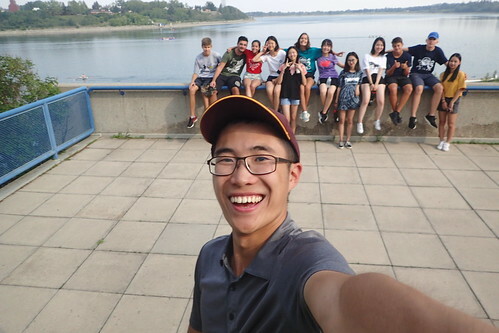 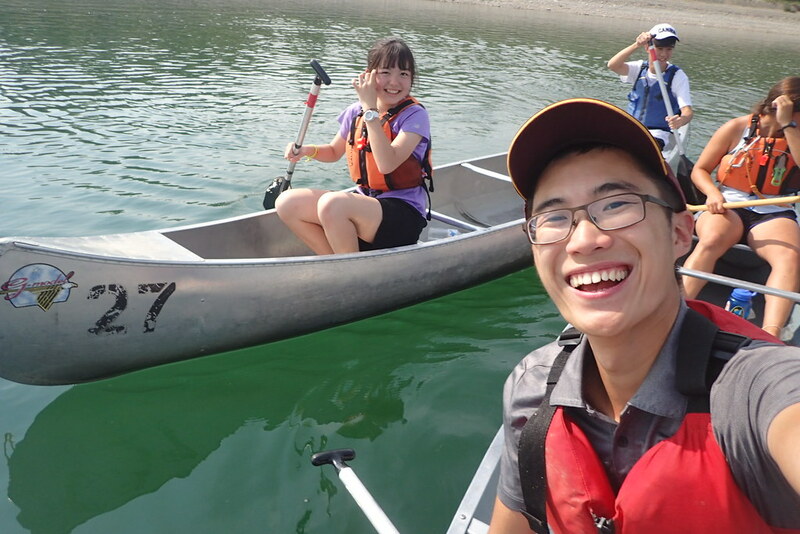 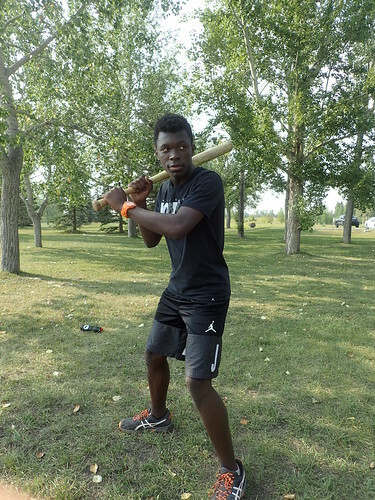 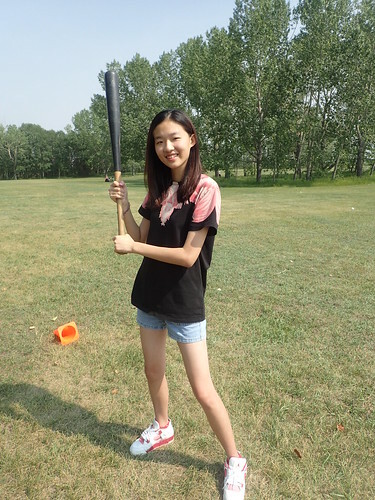 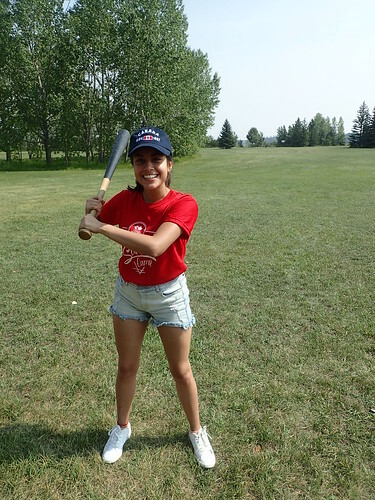 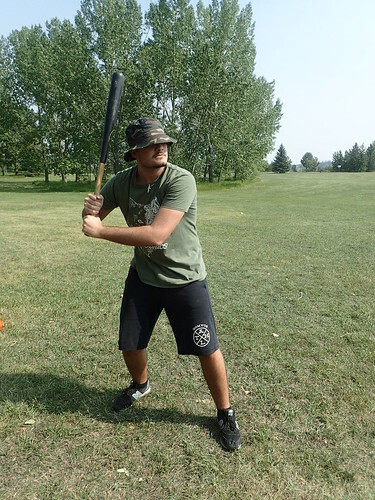 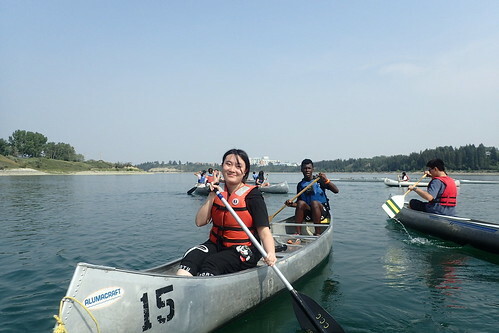 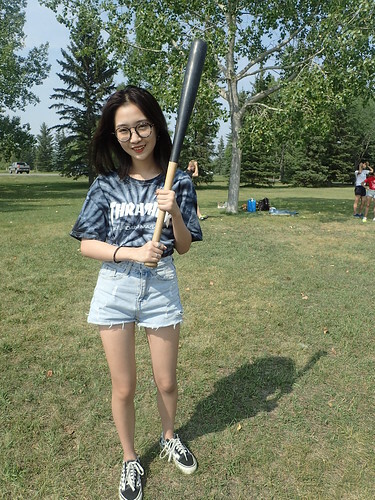 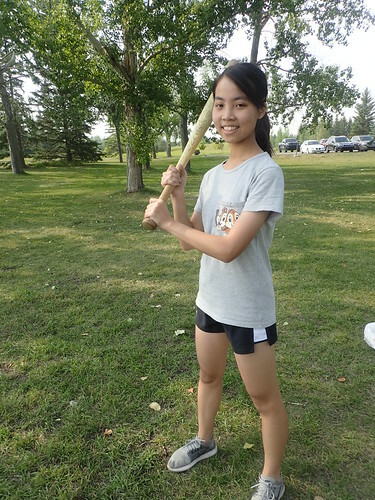 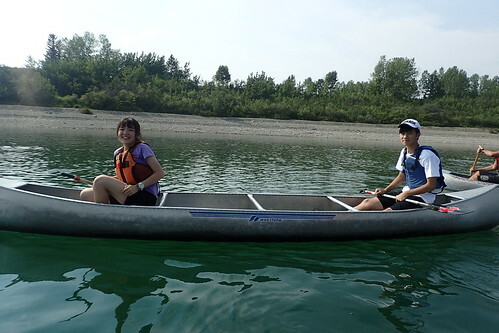 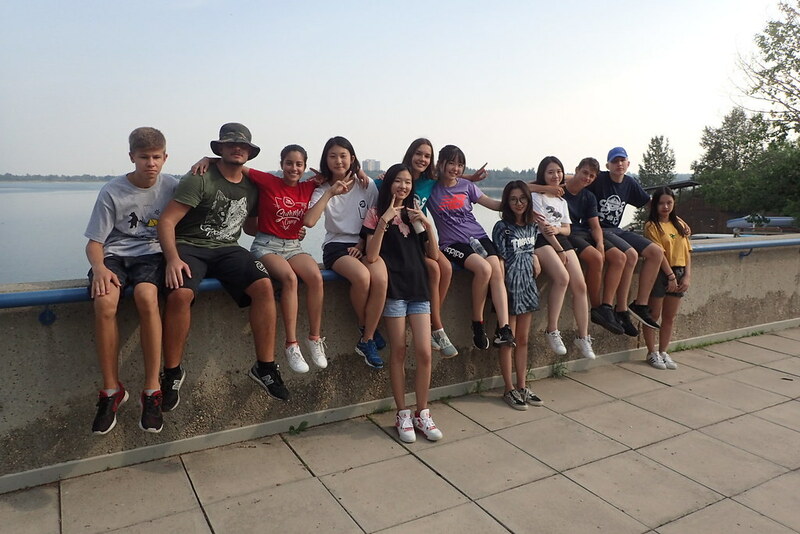 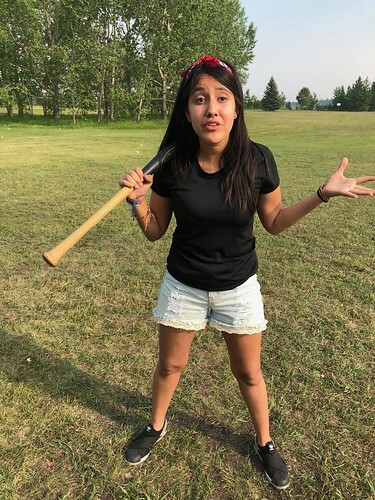 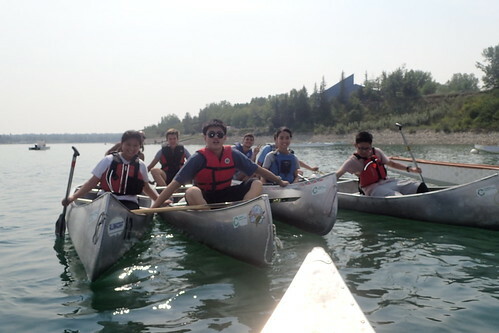 The students were split into two groups, with each doing either canoeing or baseball. 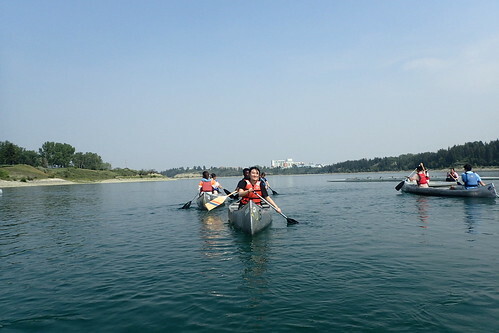 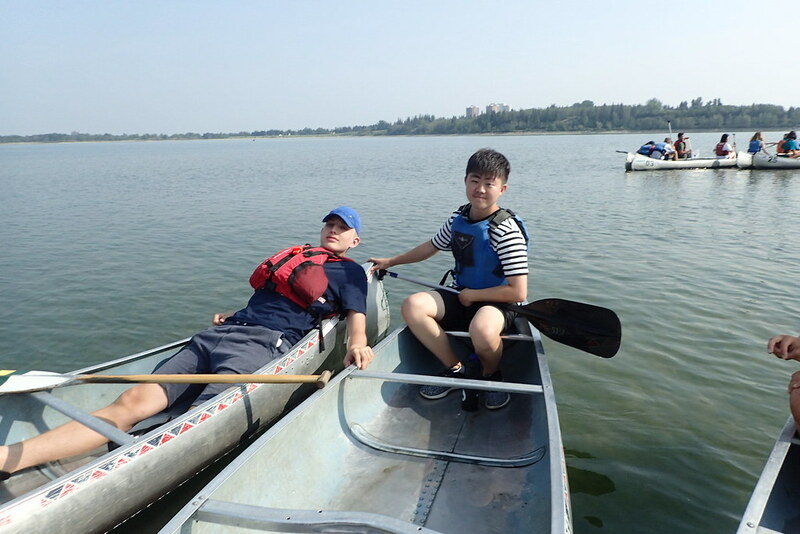 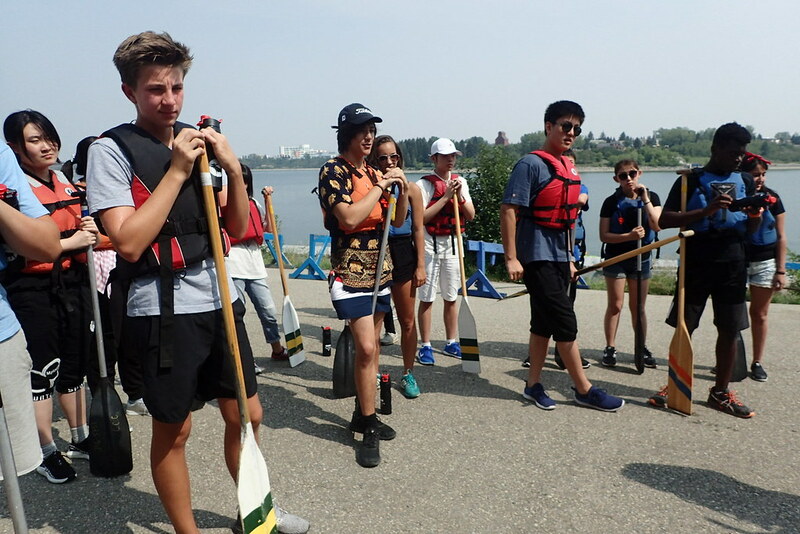 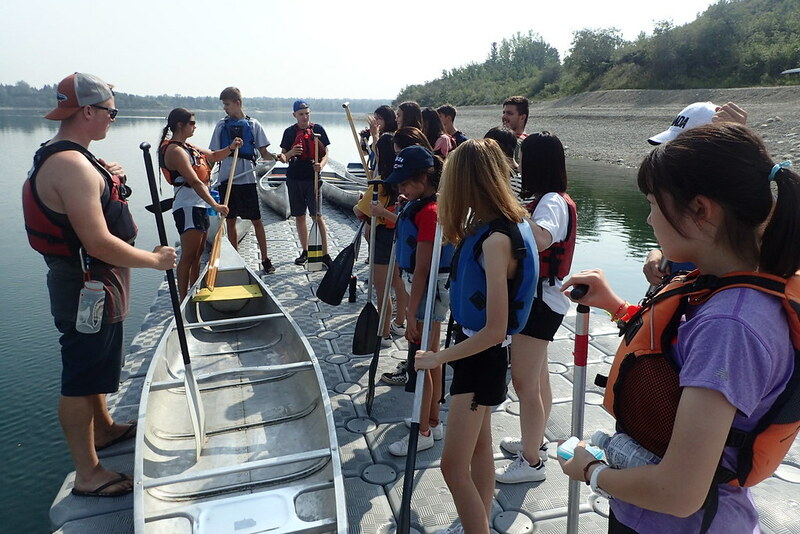 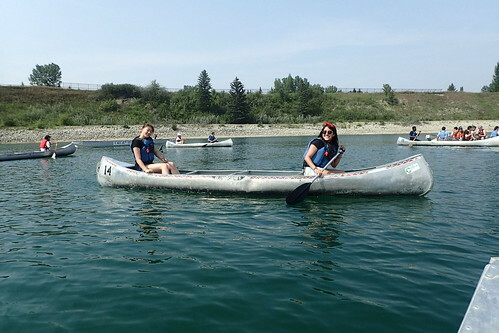 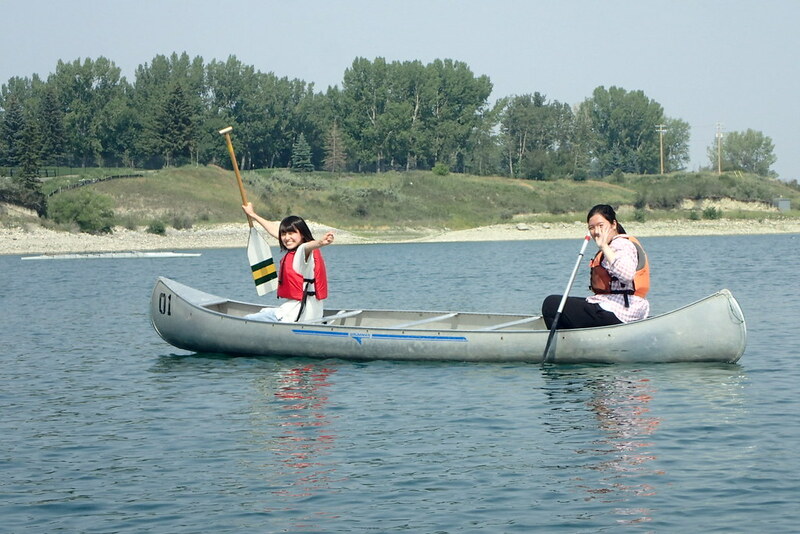 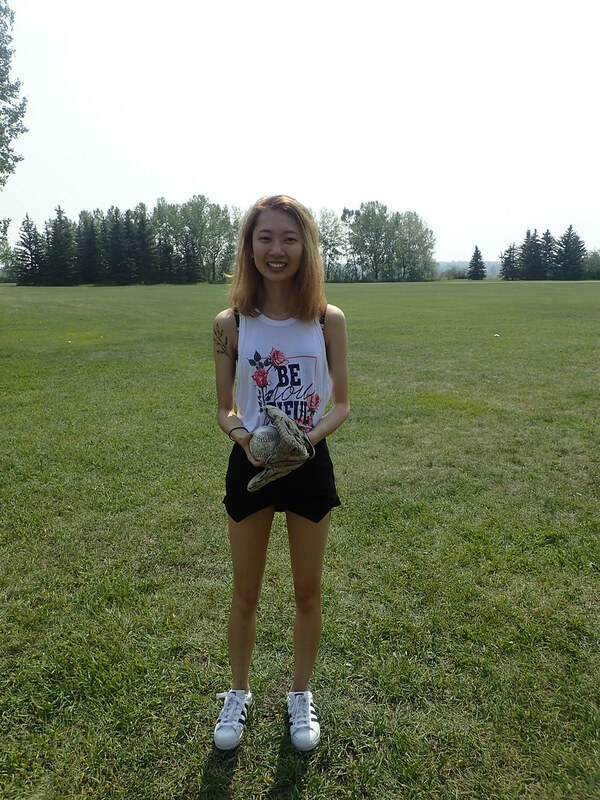 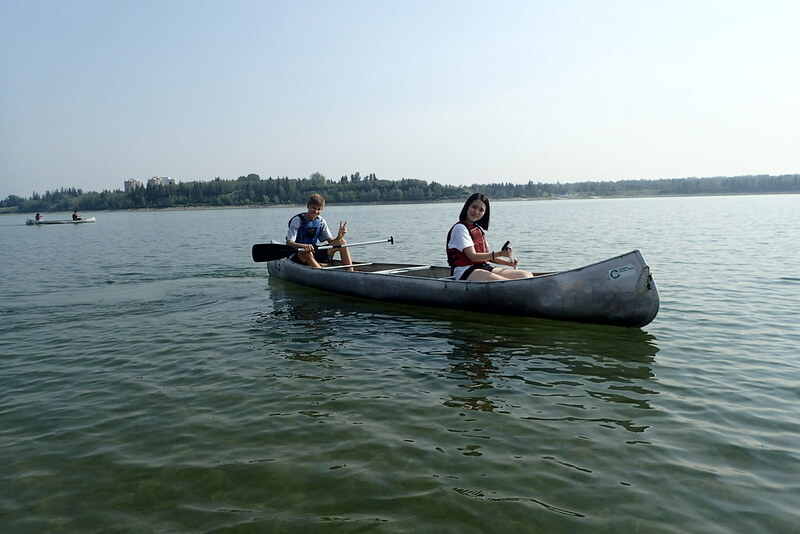 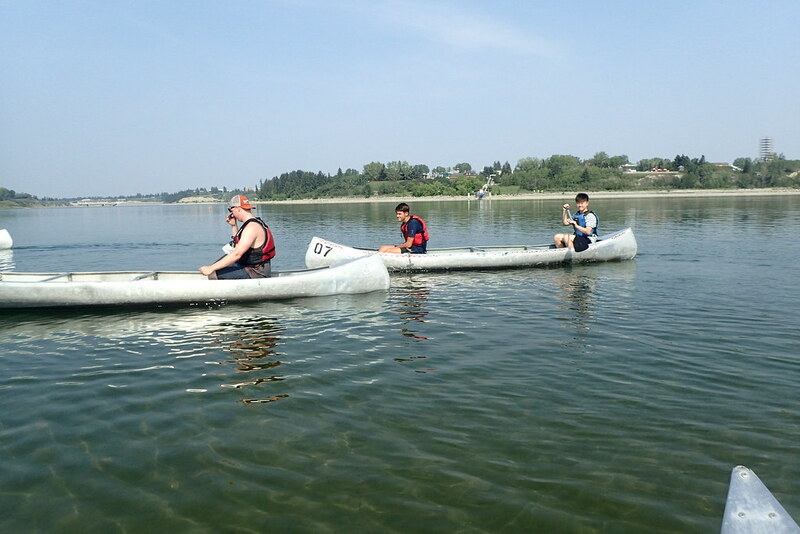 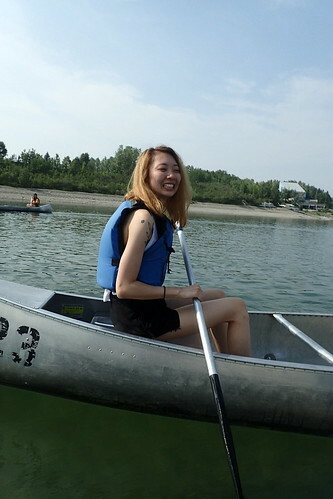 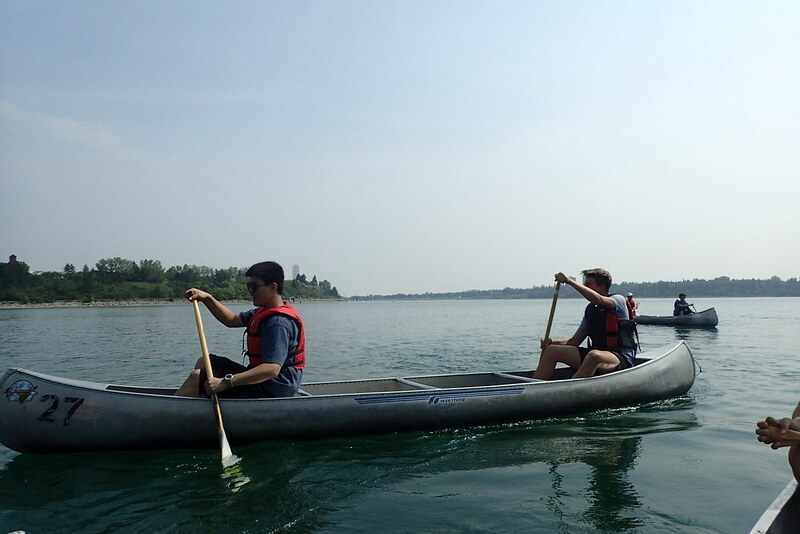 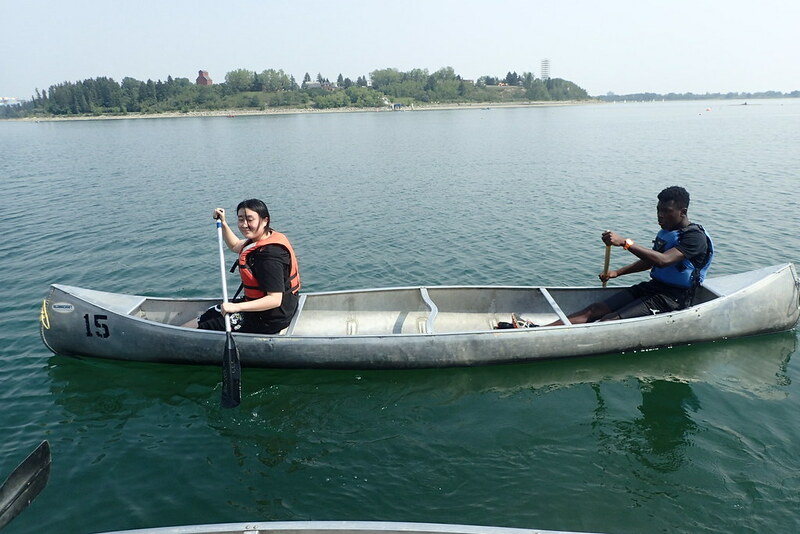 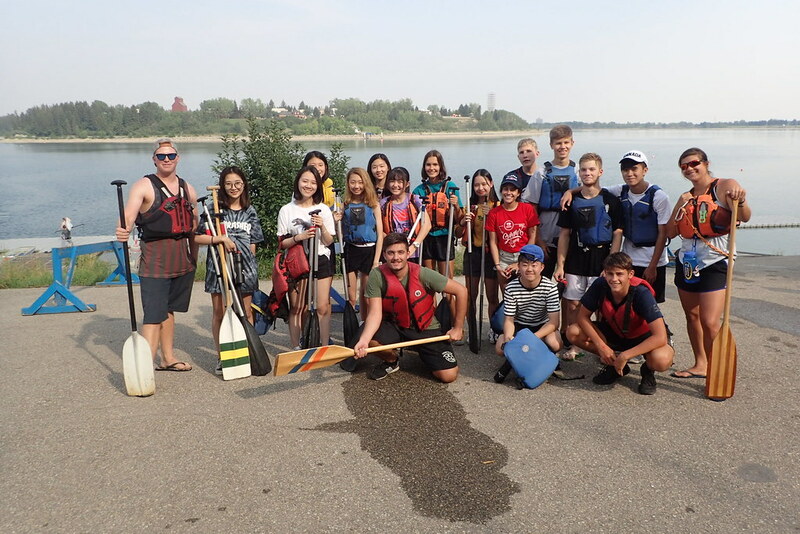 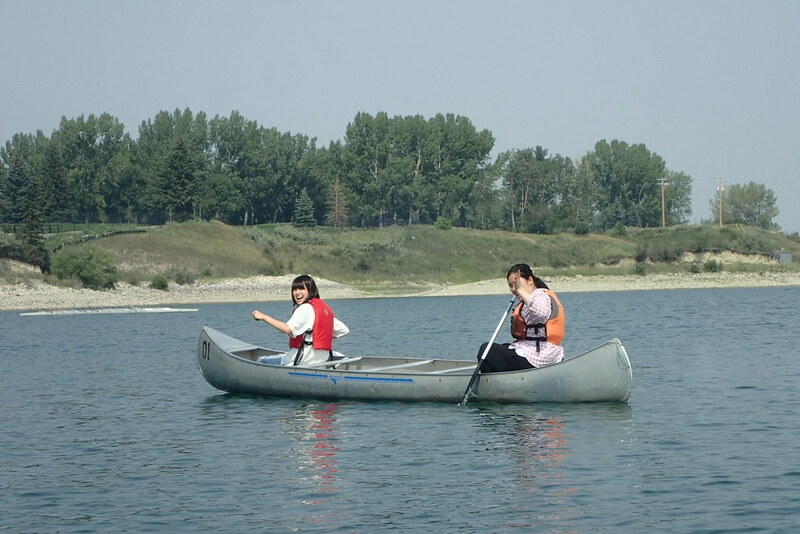 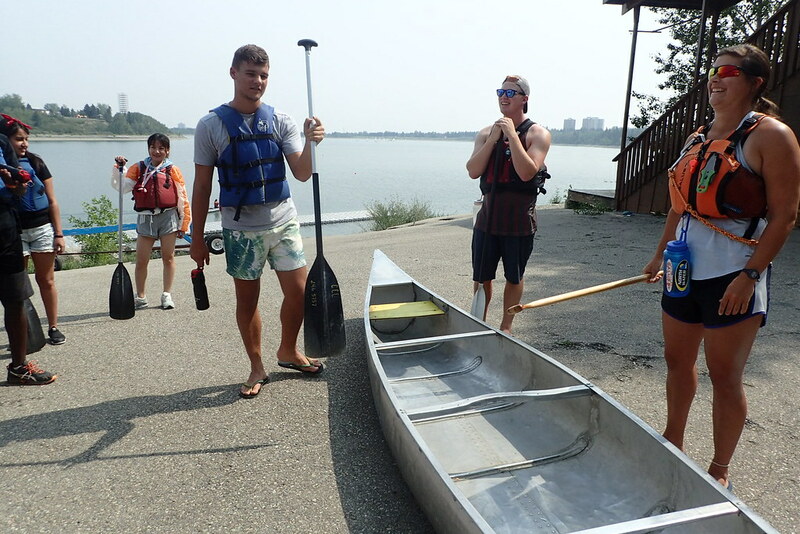 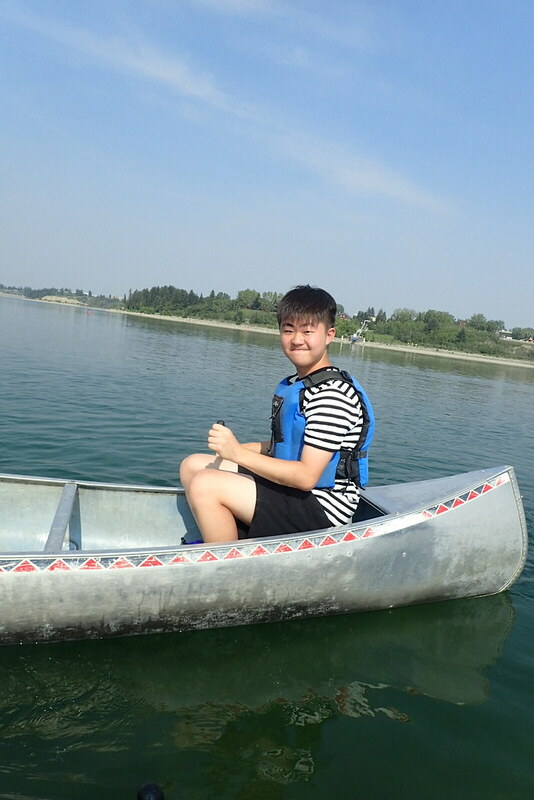 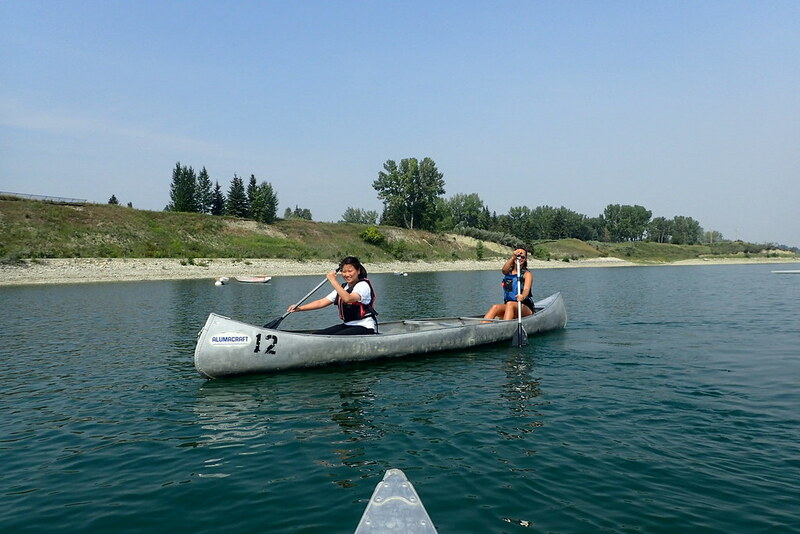 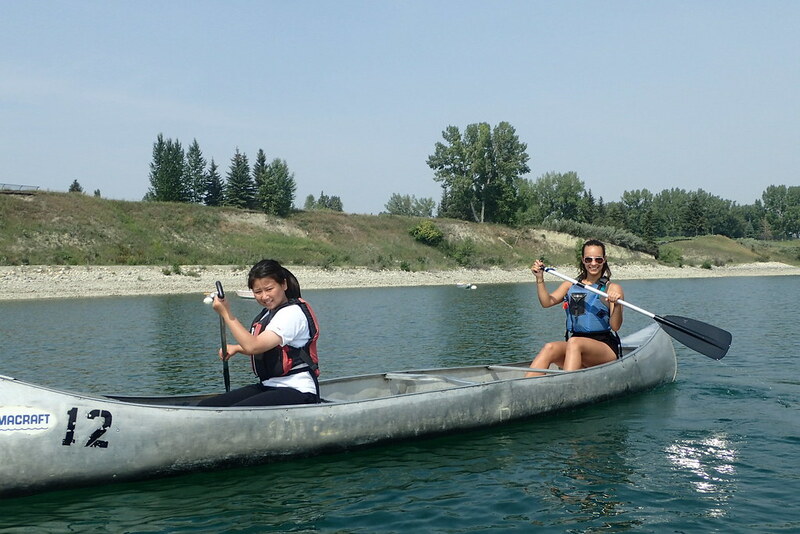 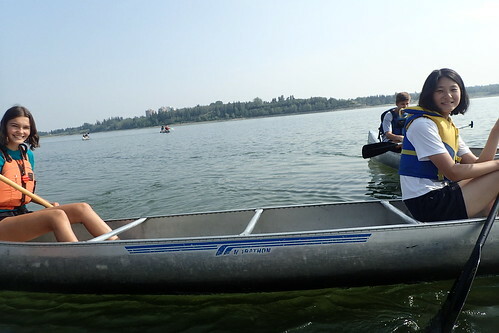 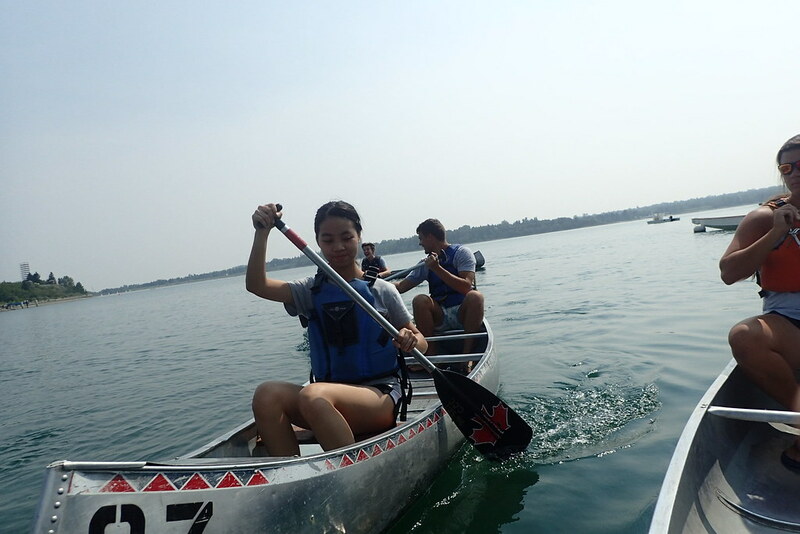 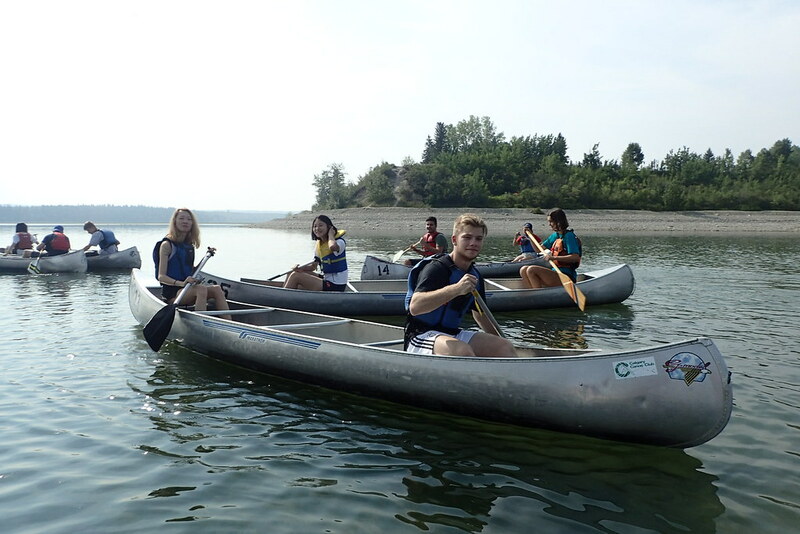 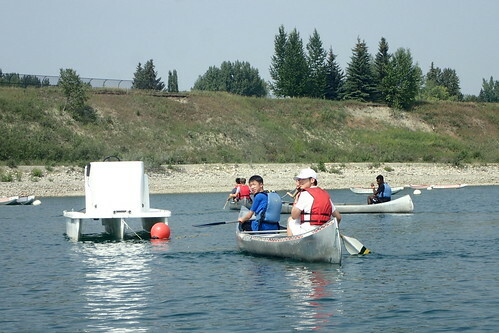 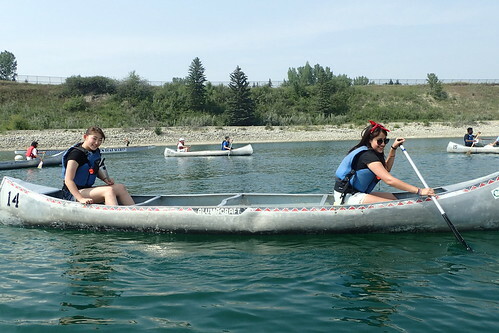 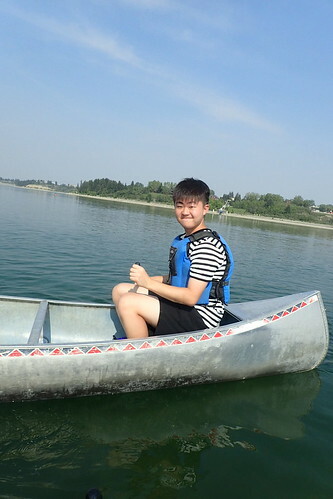 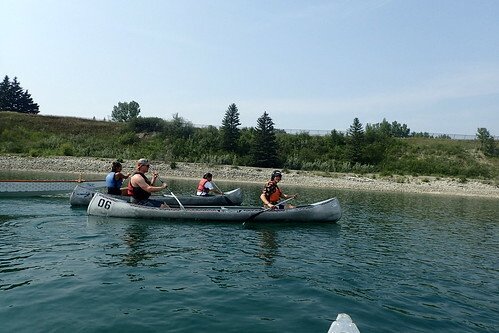 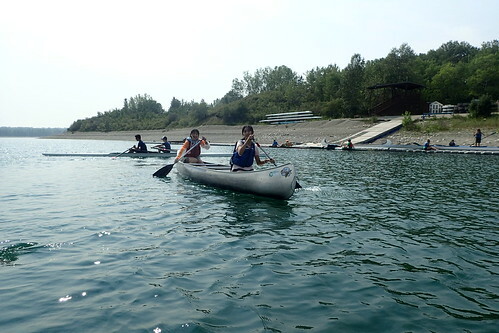 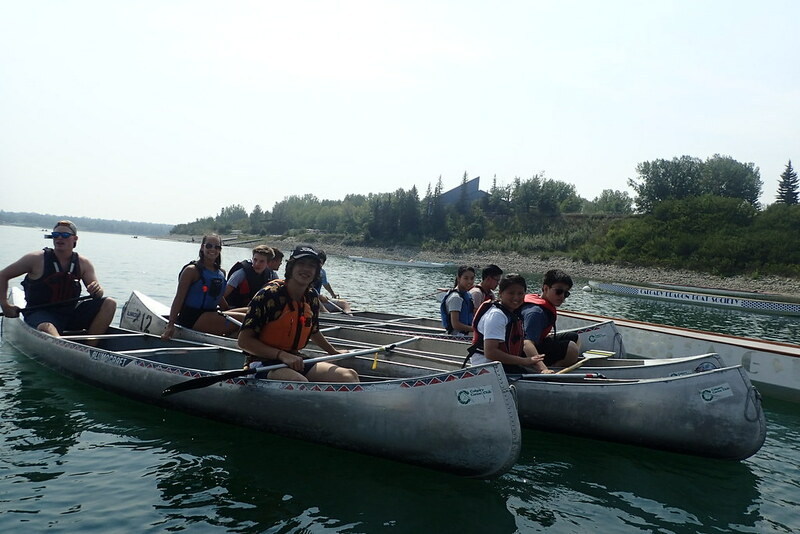 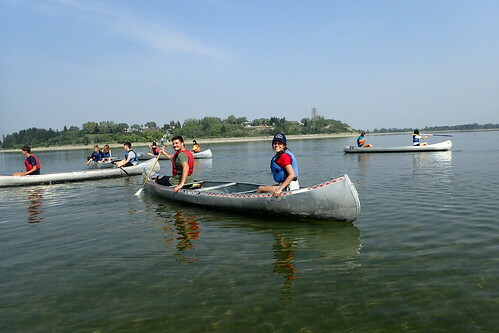 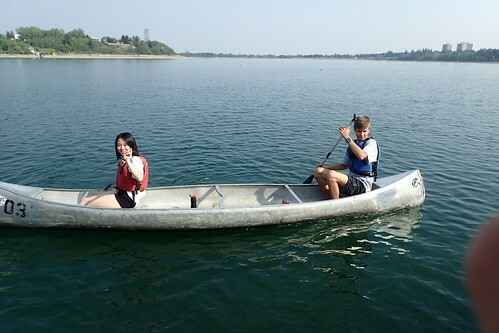 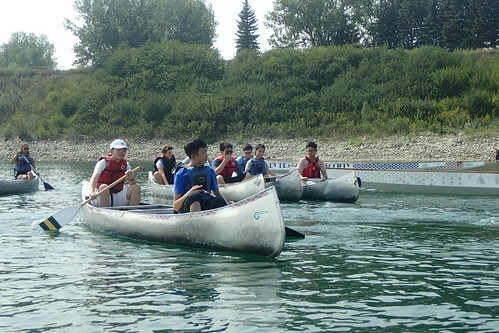 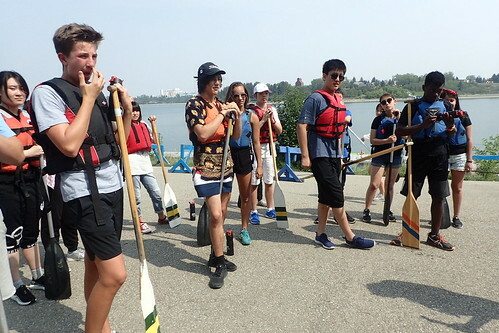 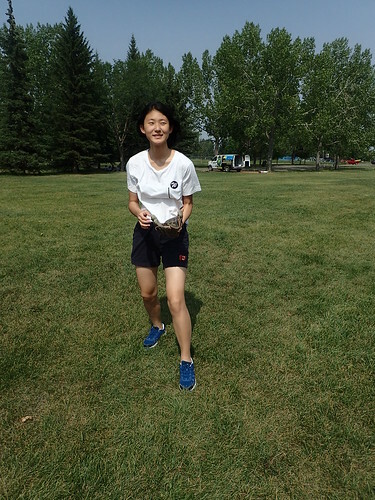 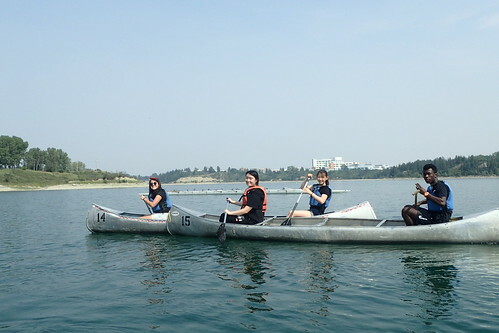 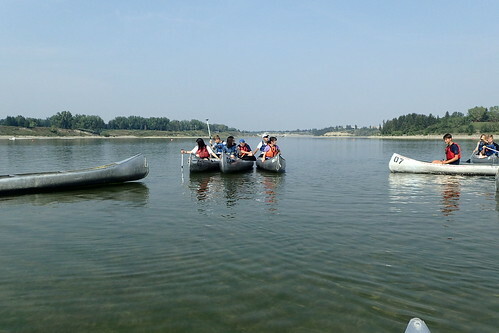 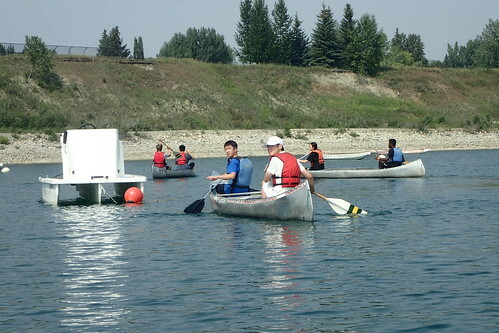 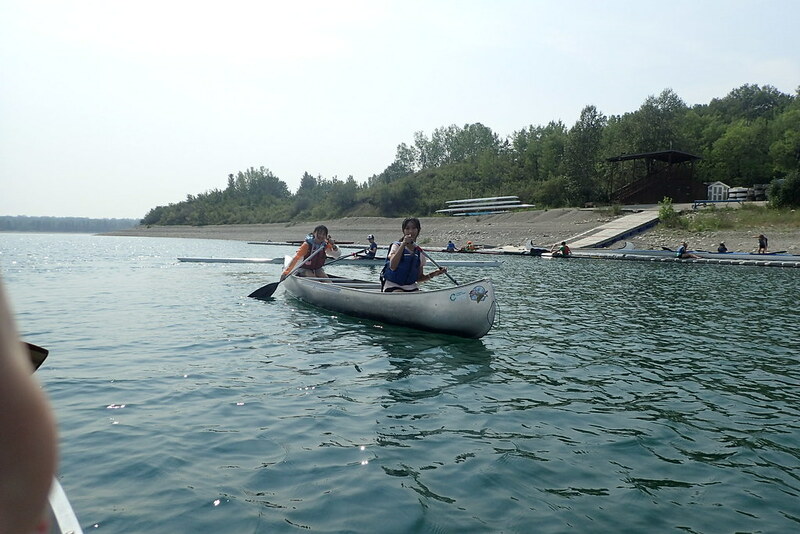 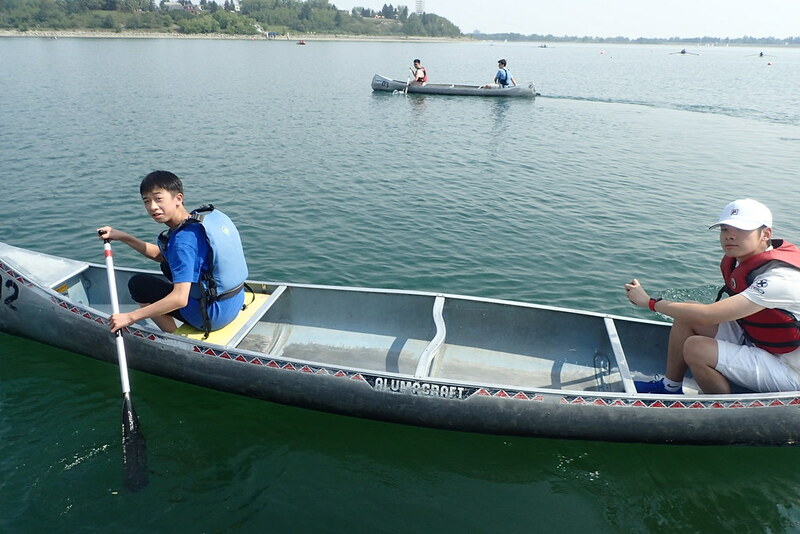 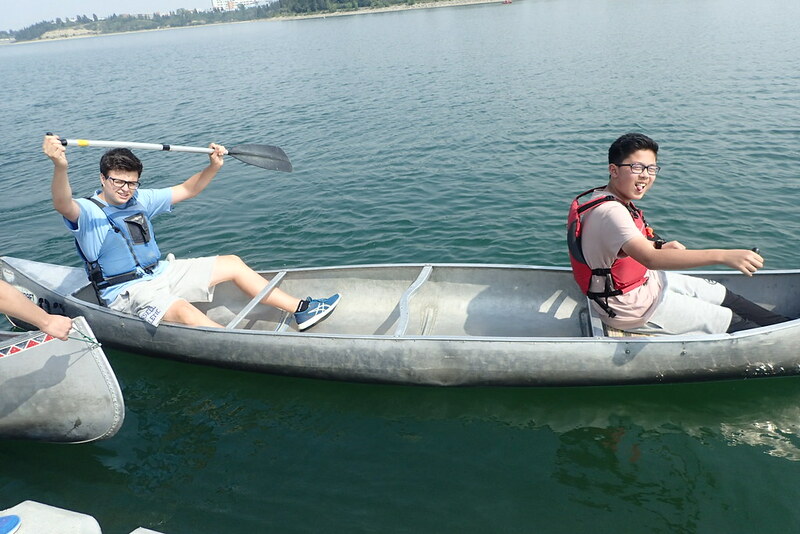 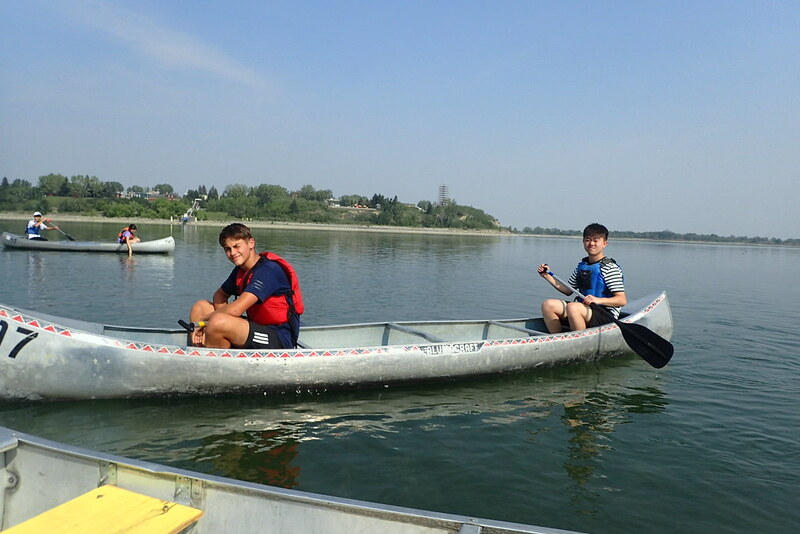 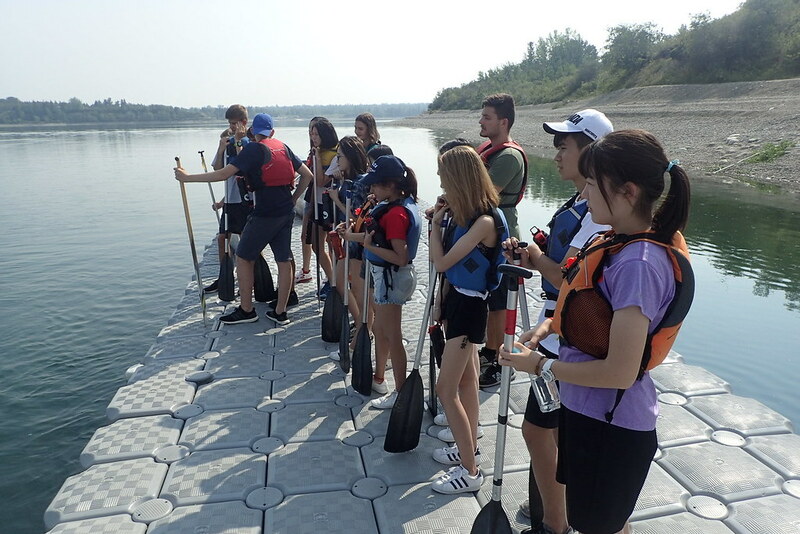 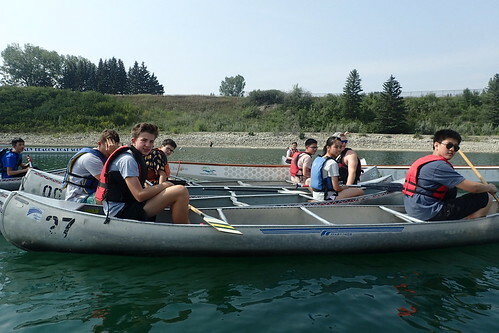 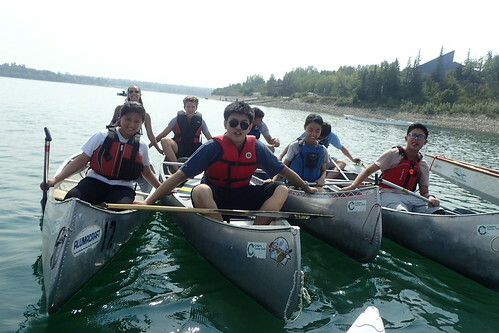 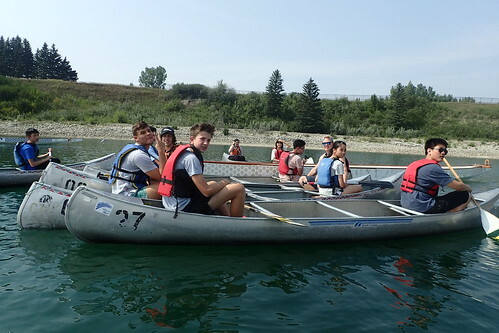 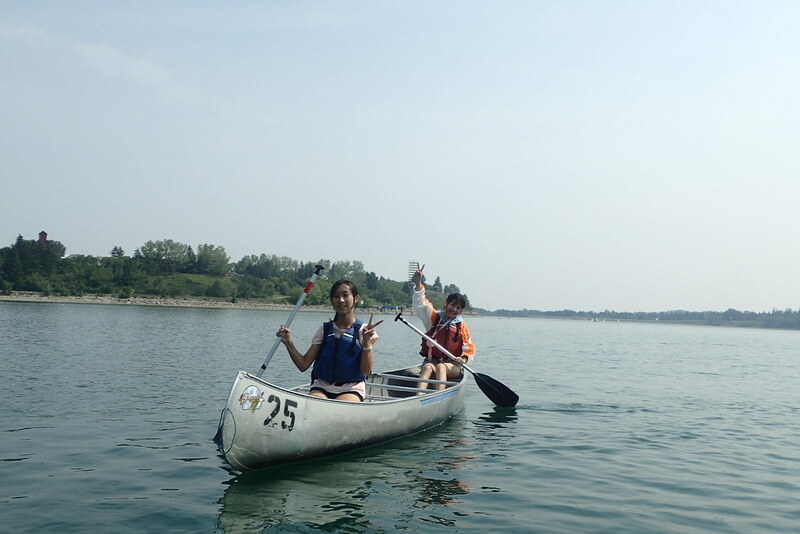 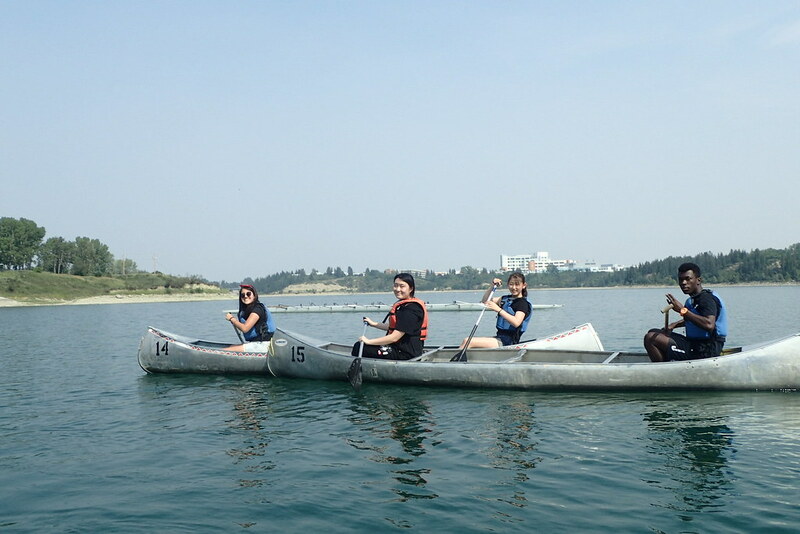 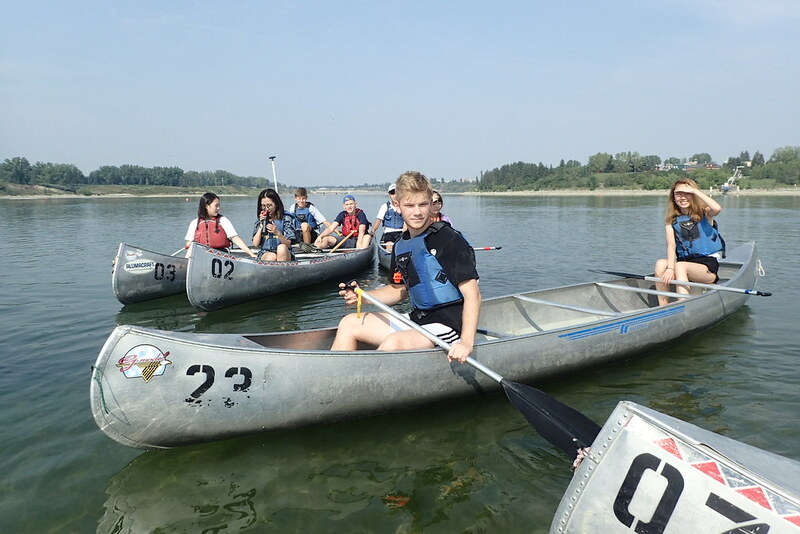 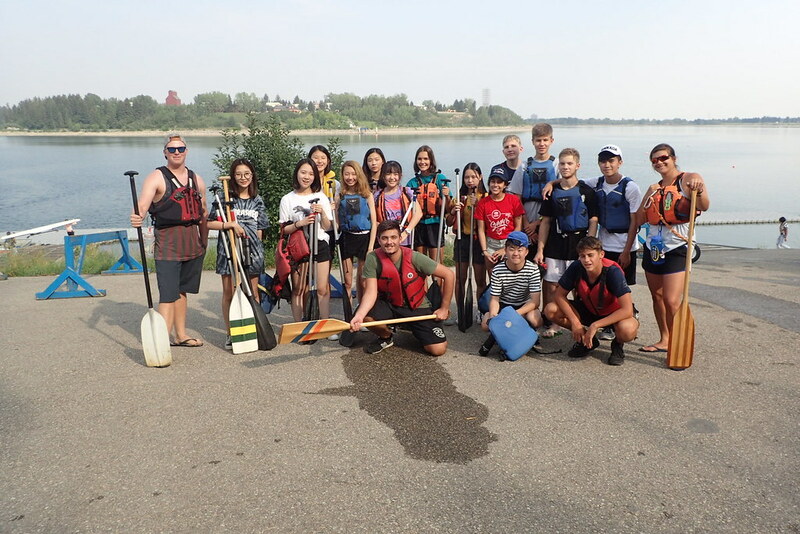 Canoeing saw the students race up and down the Glenmore Reservoir in Calgary with their partners. 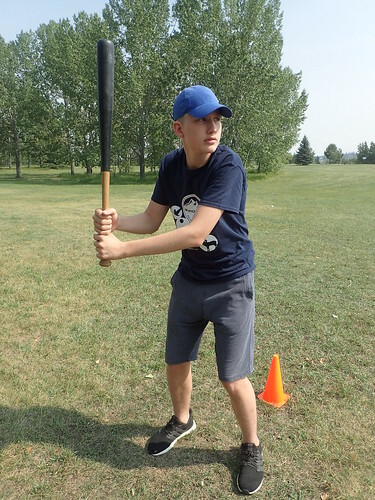 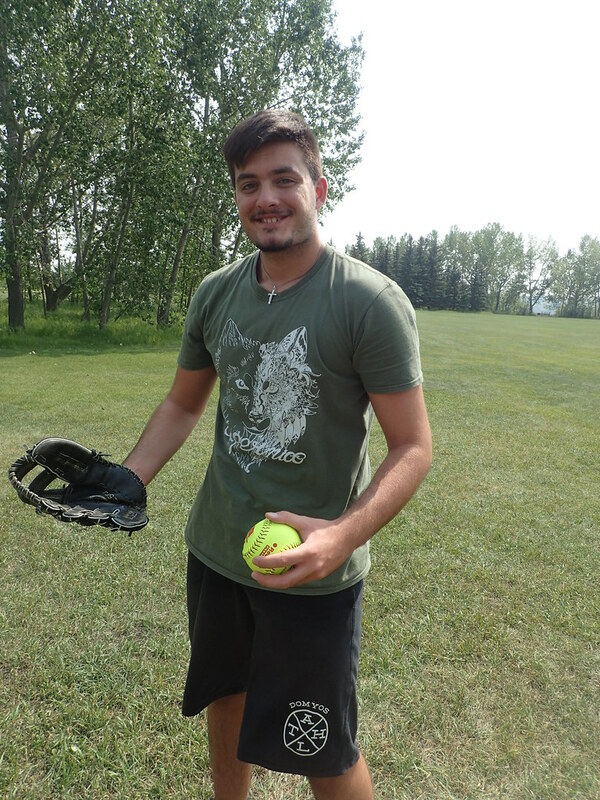 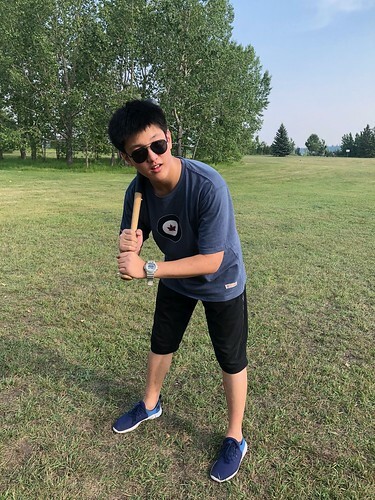 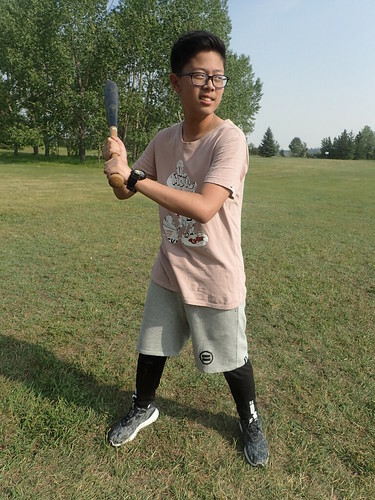 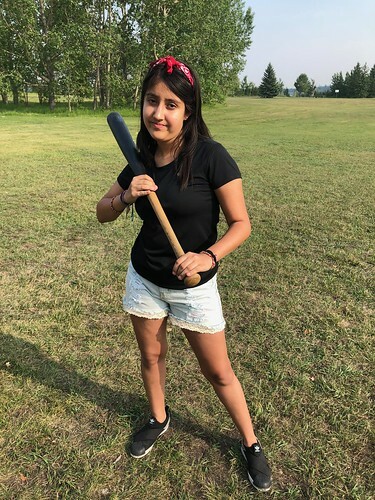 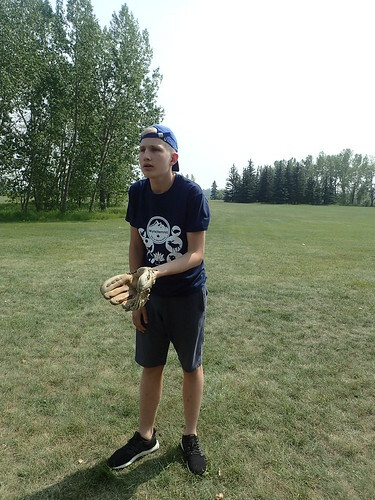 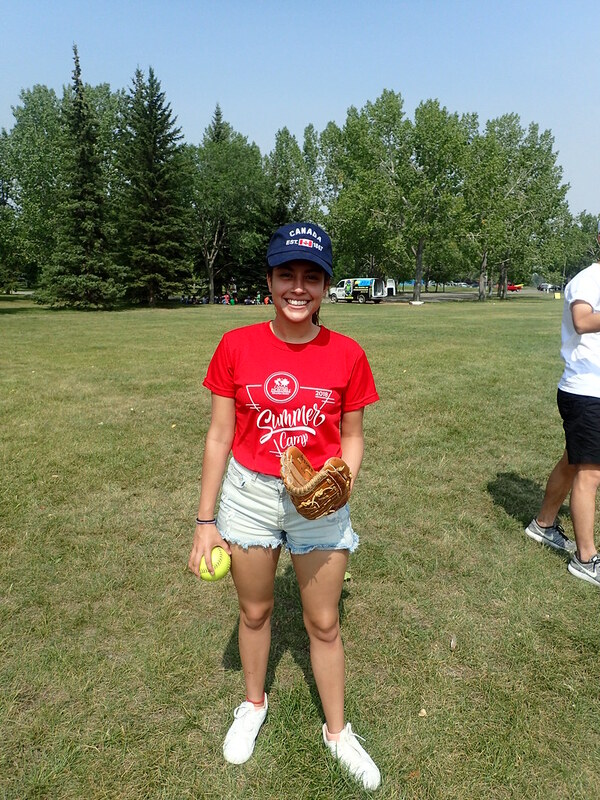 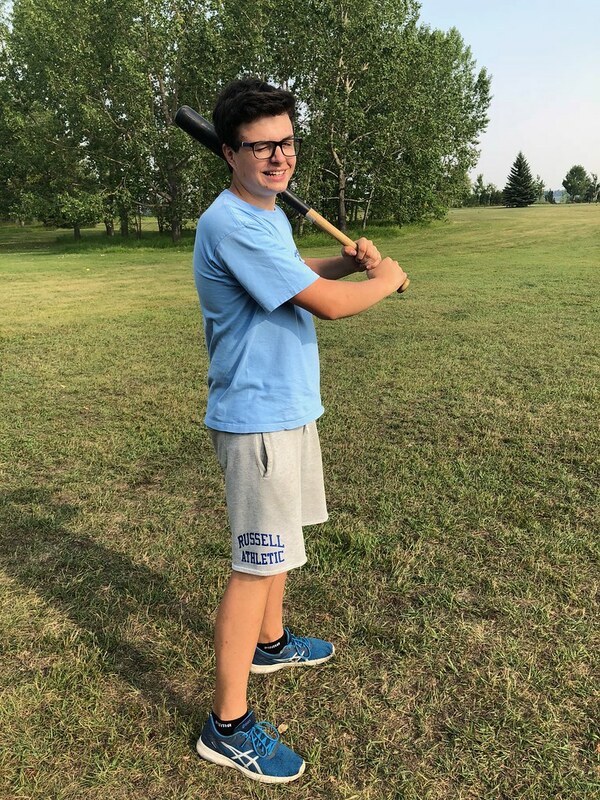 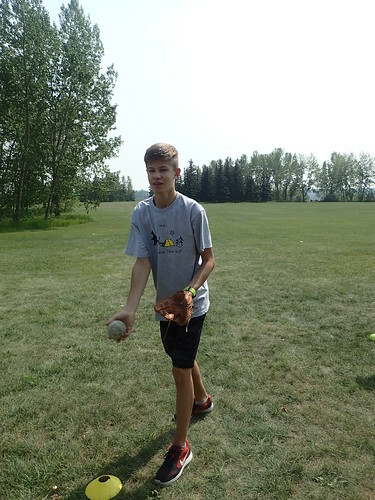 Baseball saw the students learn how to catch with a baseball glove, while also learning how to hit a baseball very far with a bat. 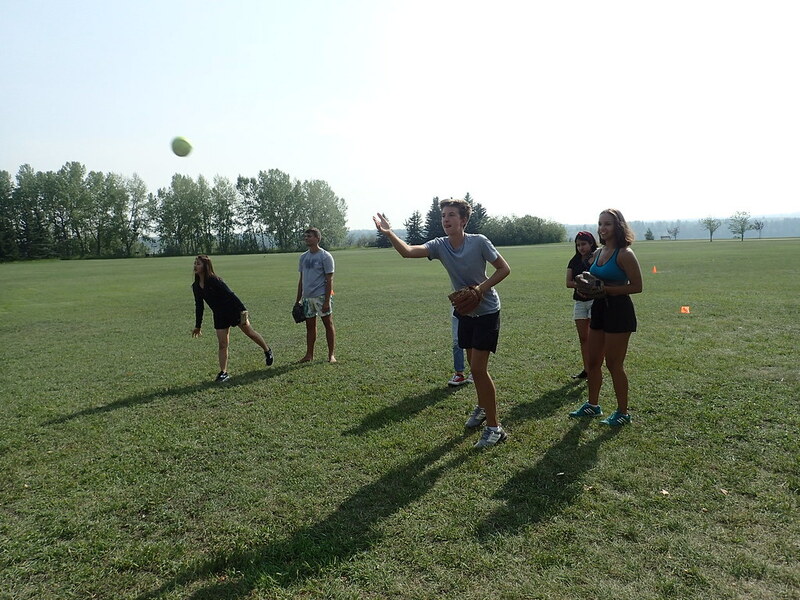 Each student hit the ball, and both groups had very competitive games! 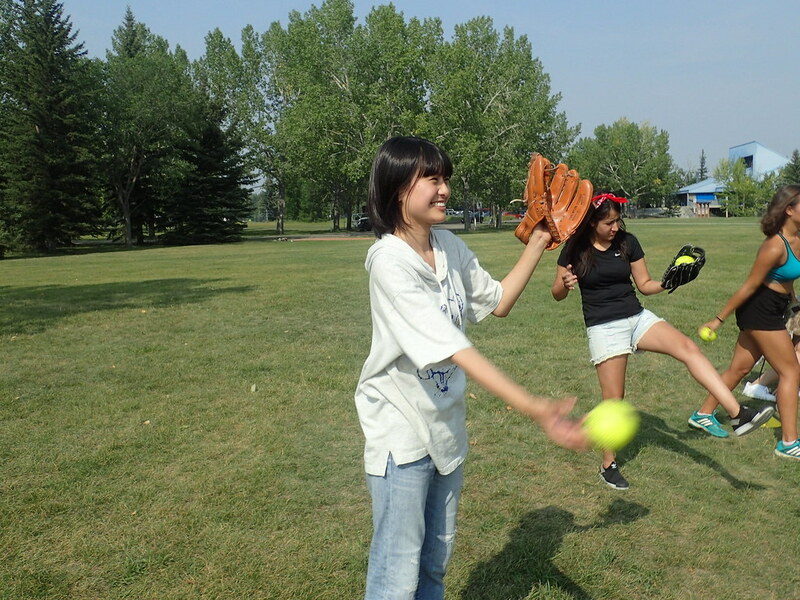 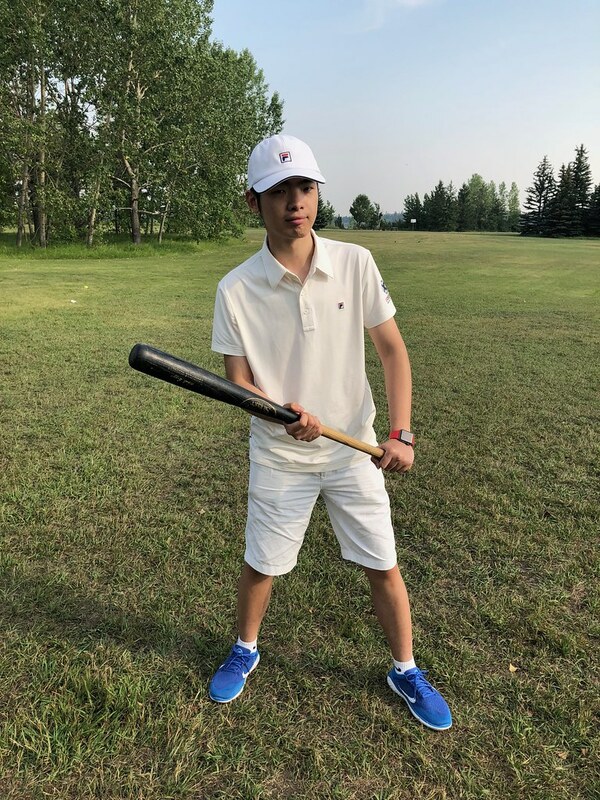 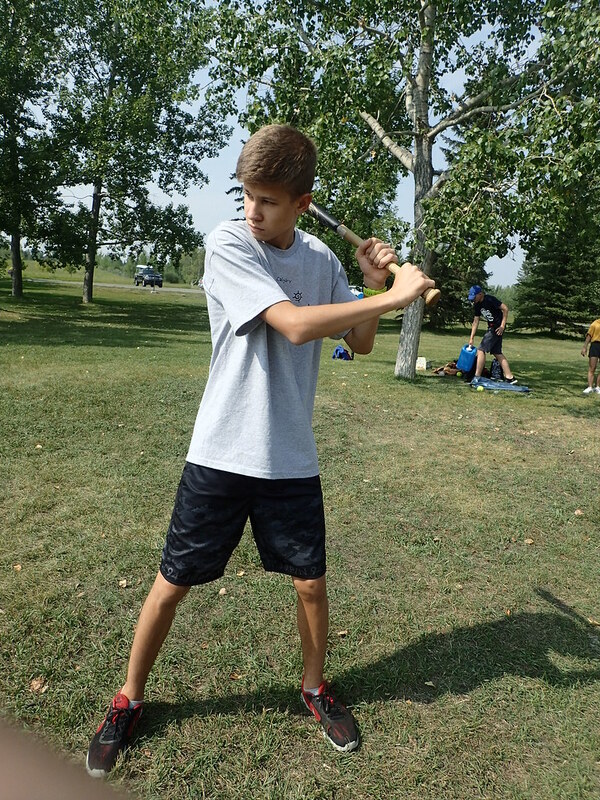 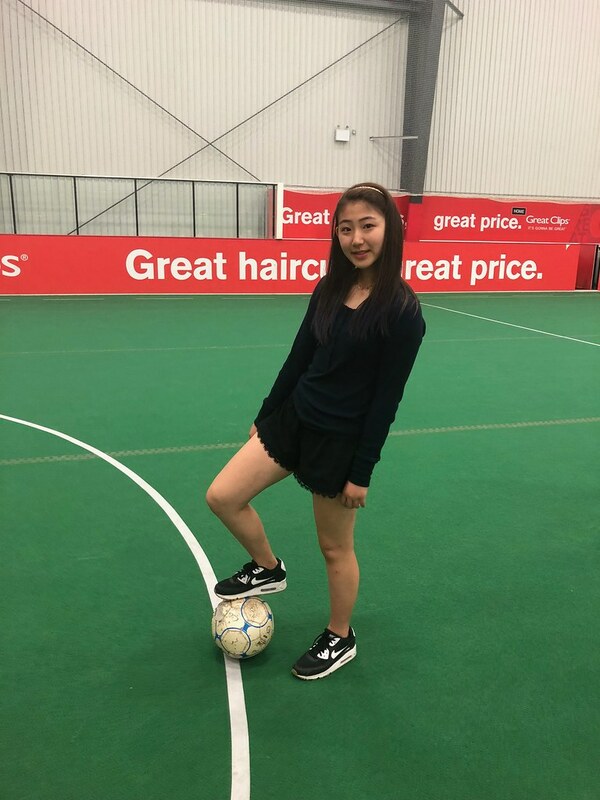 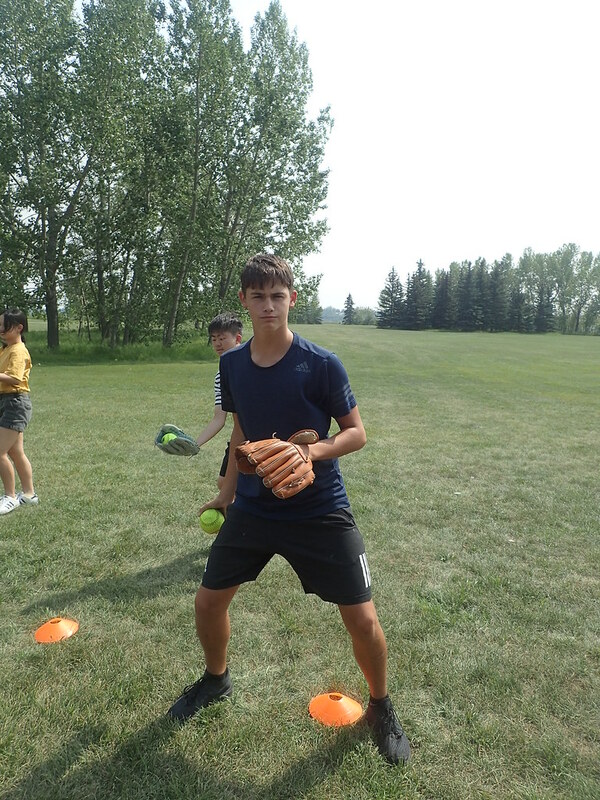 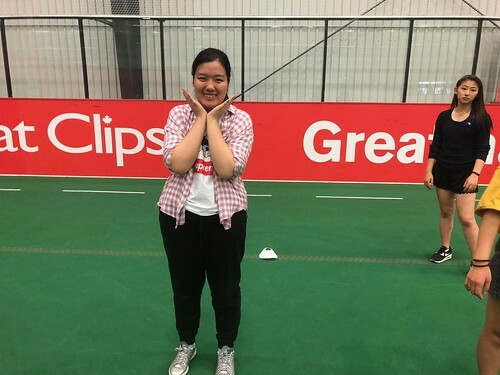 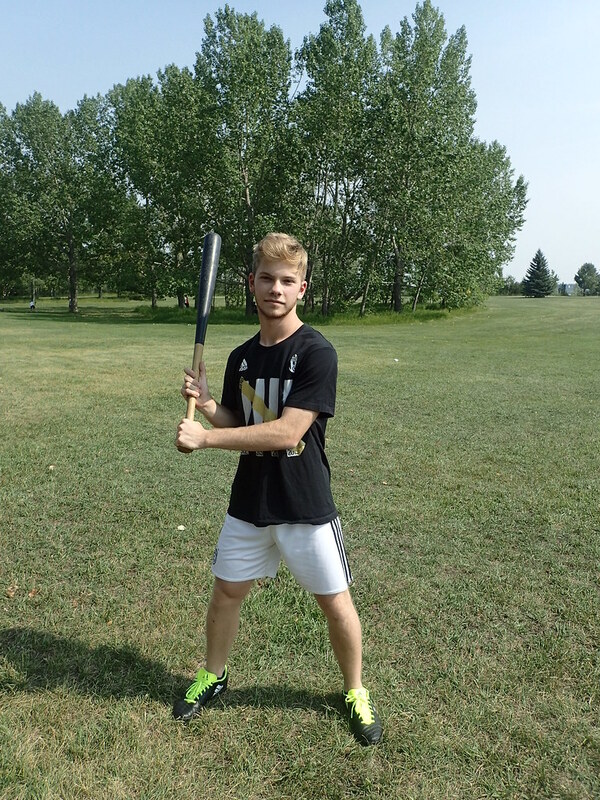 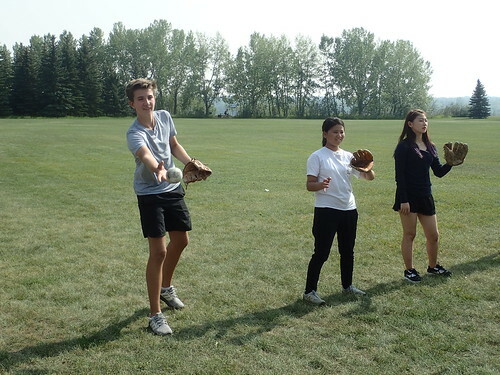 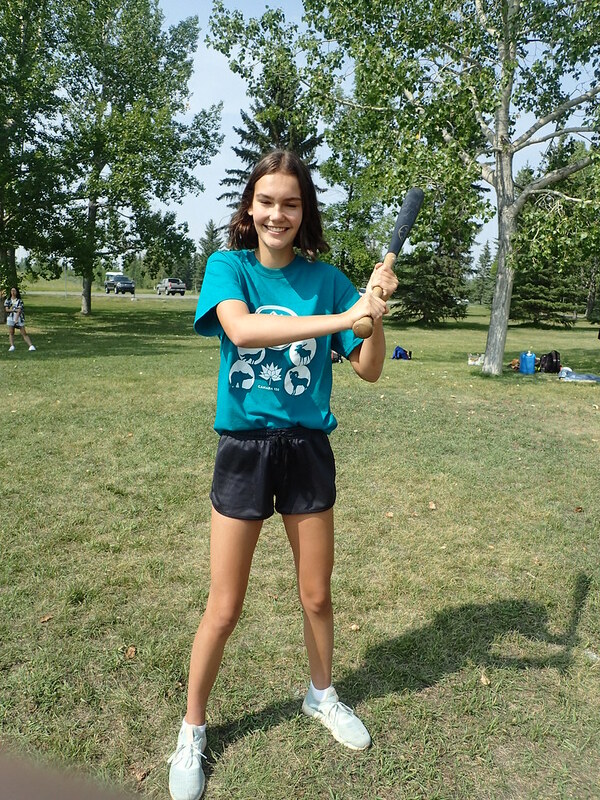 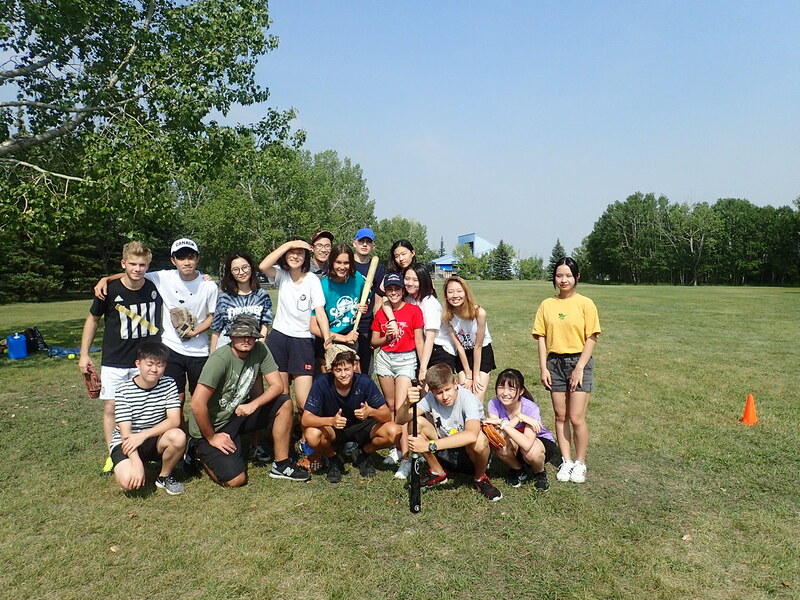 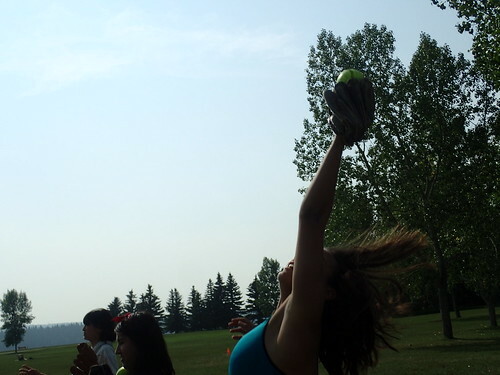 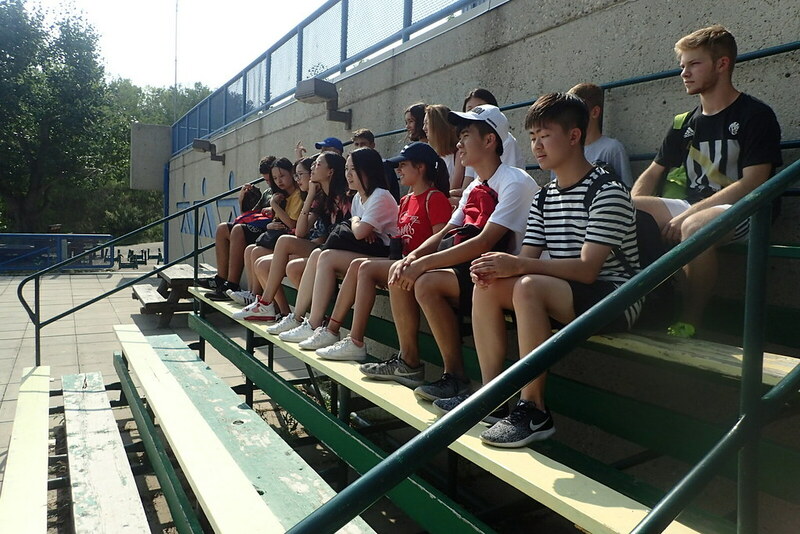 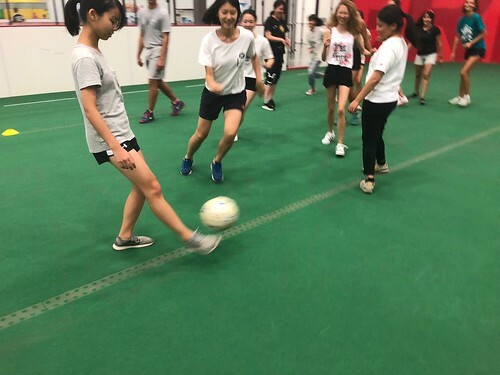 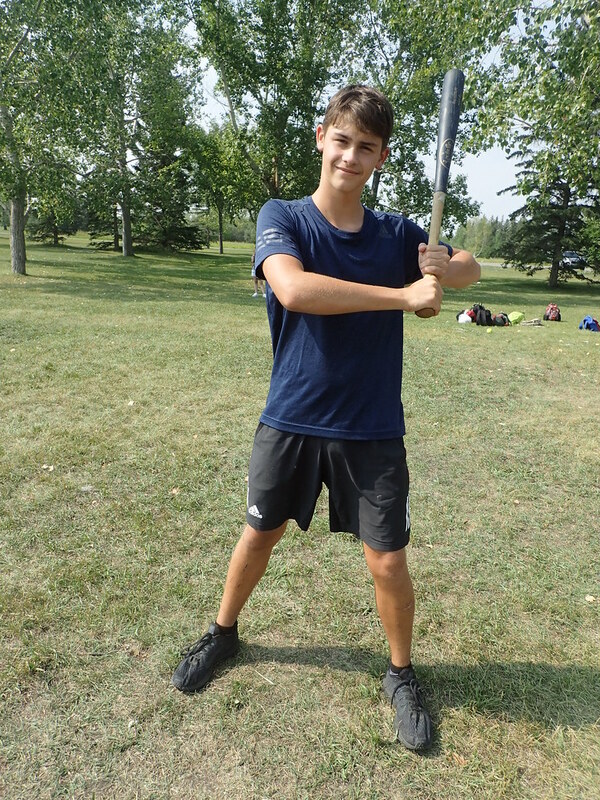 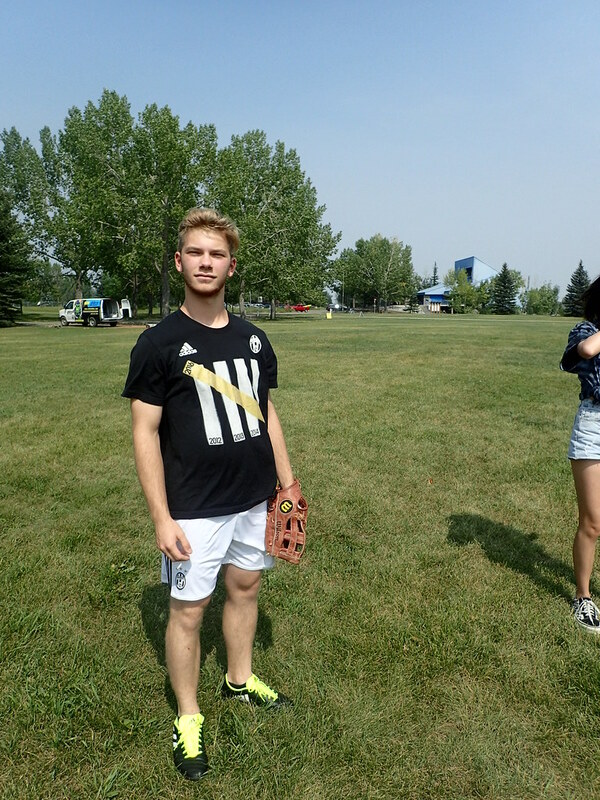 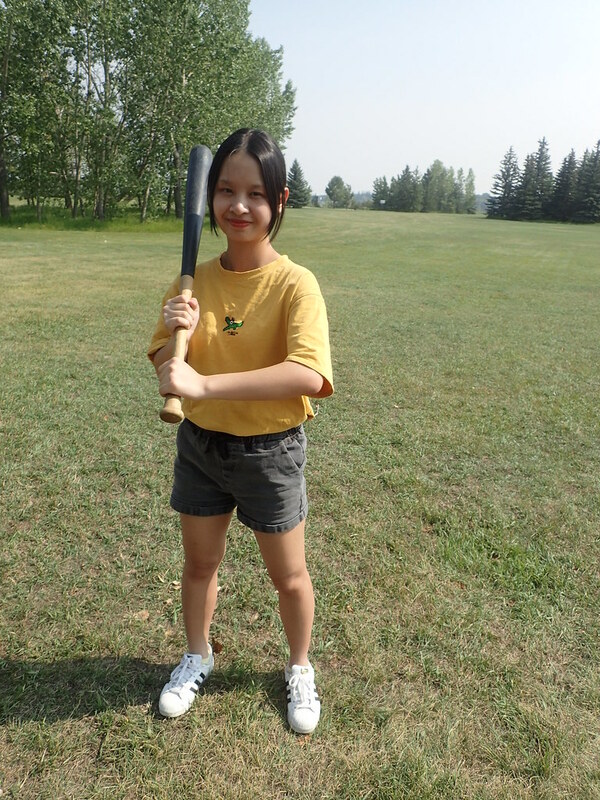 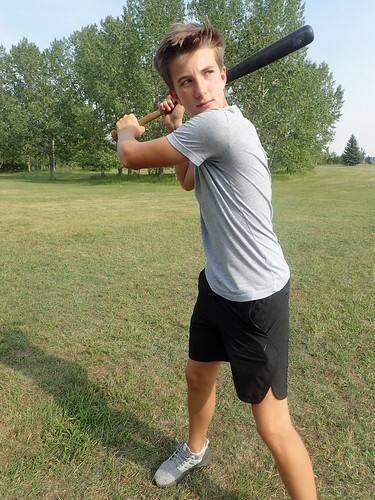 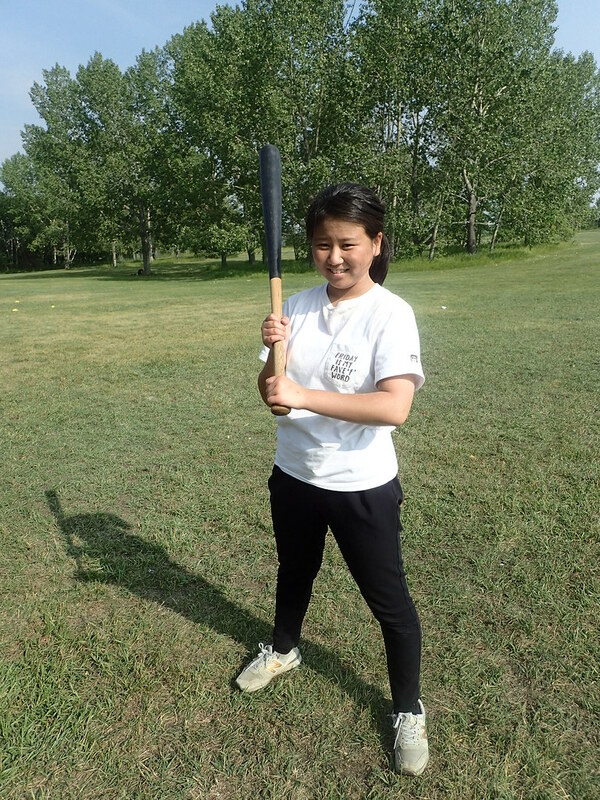 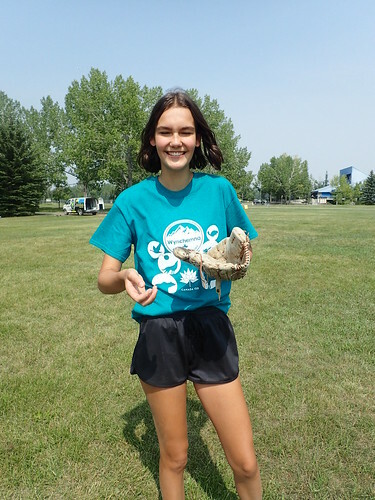 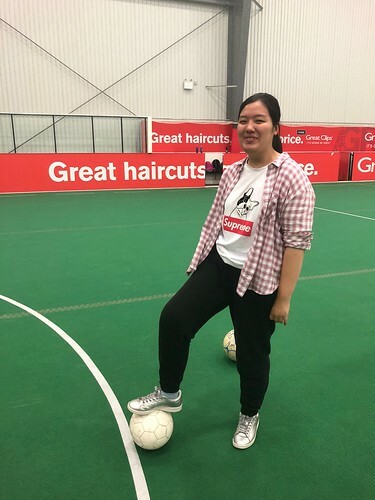 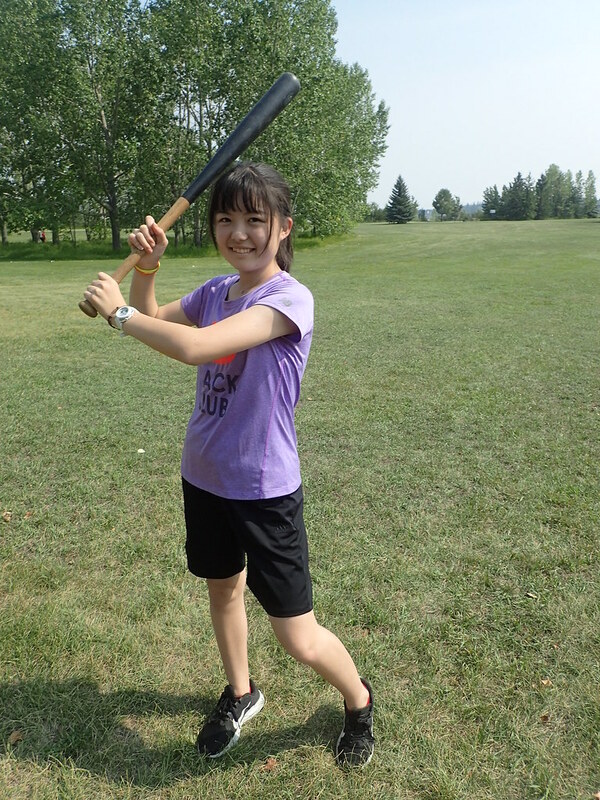 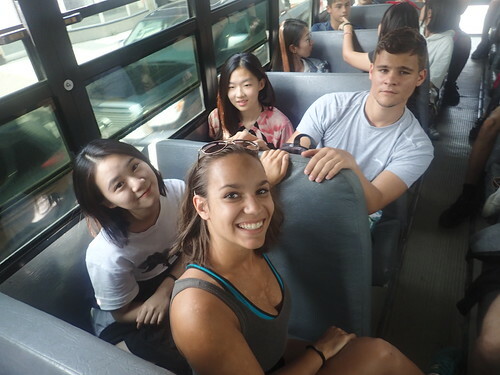 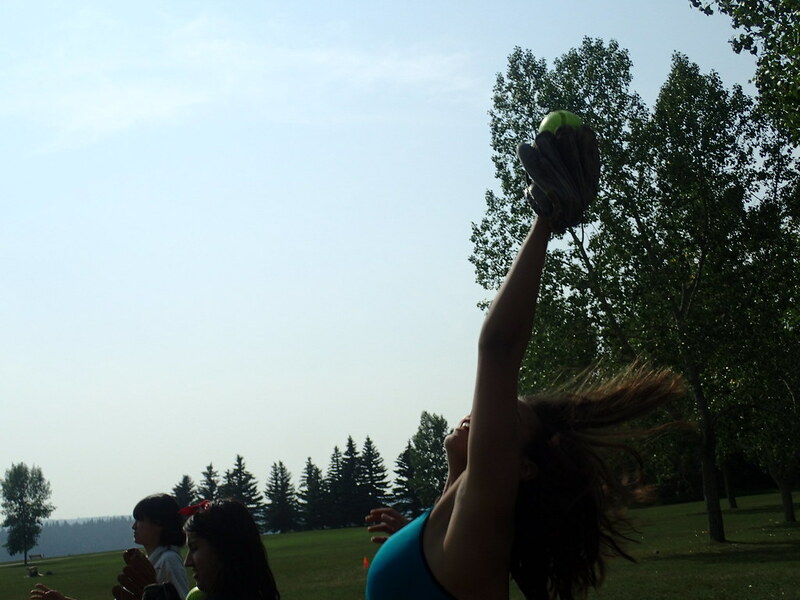 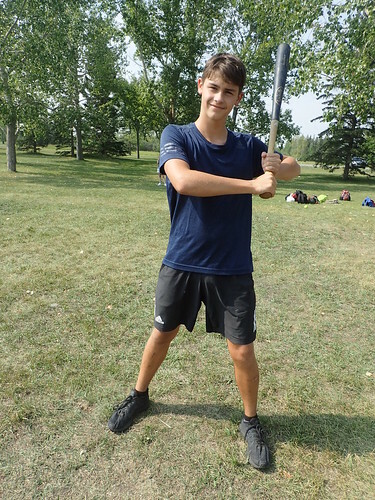 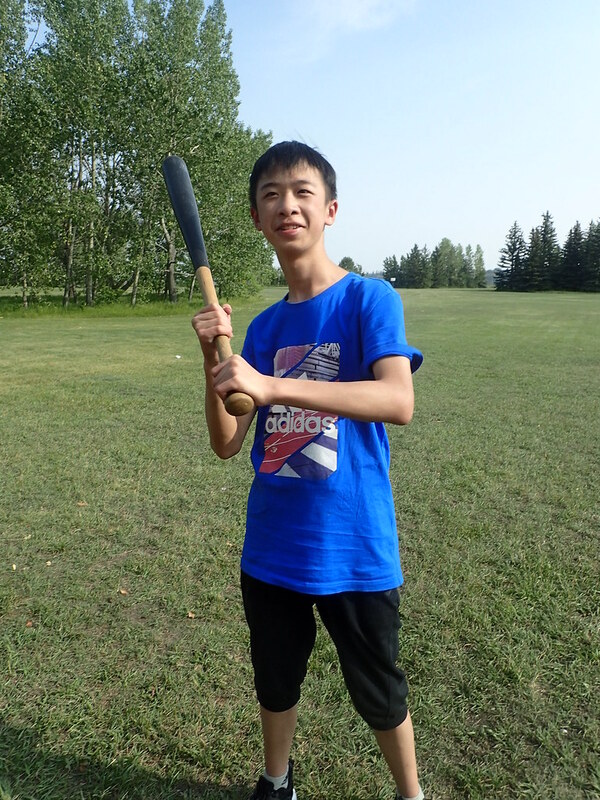 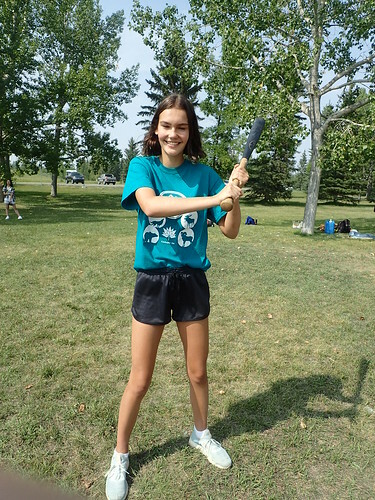 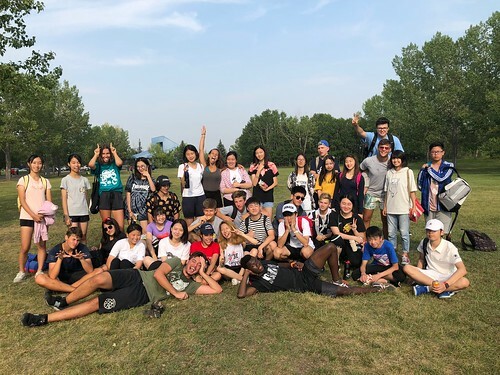 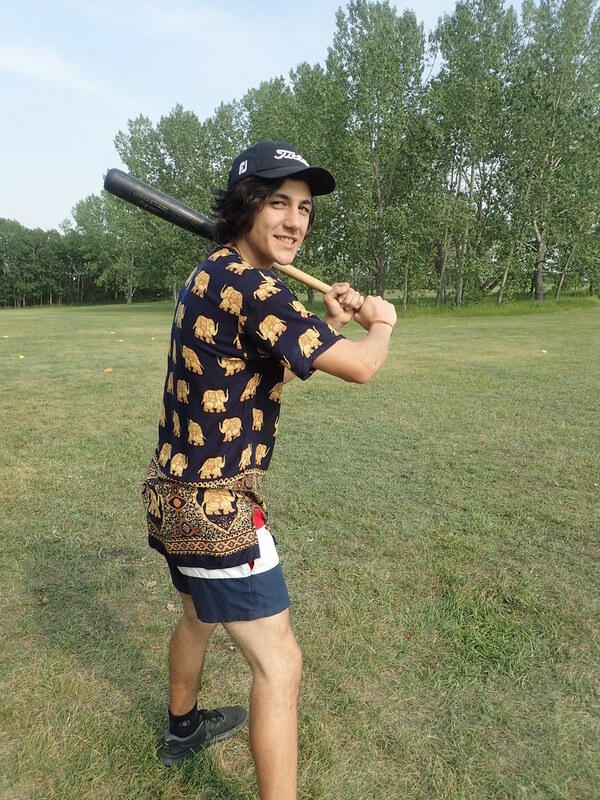 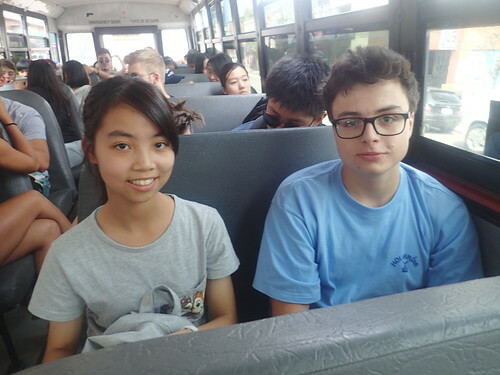 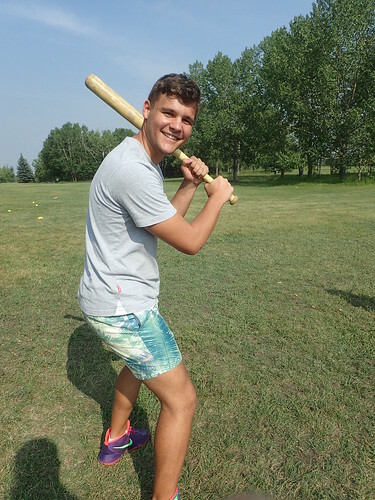 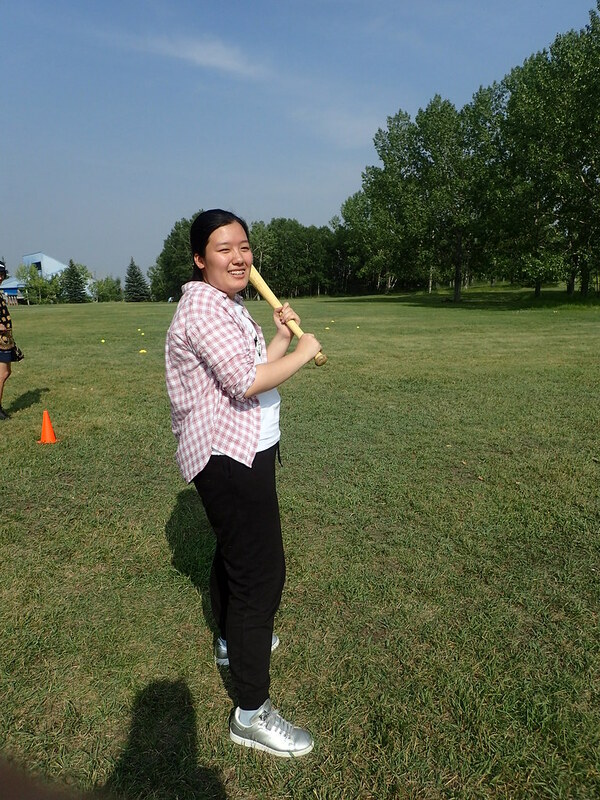 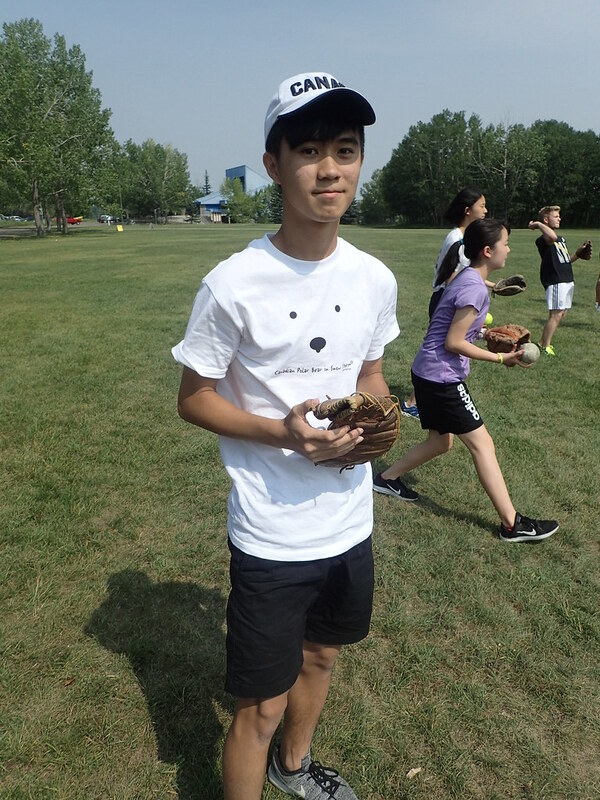 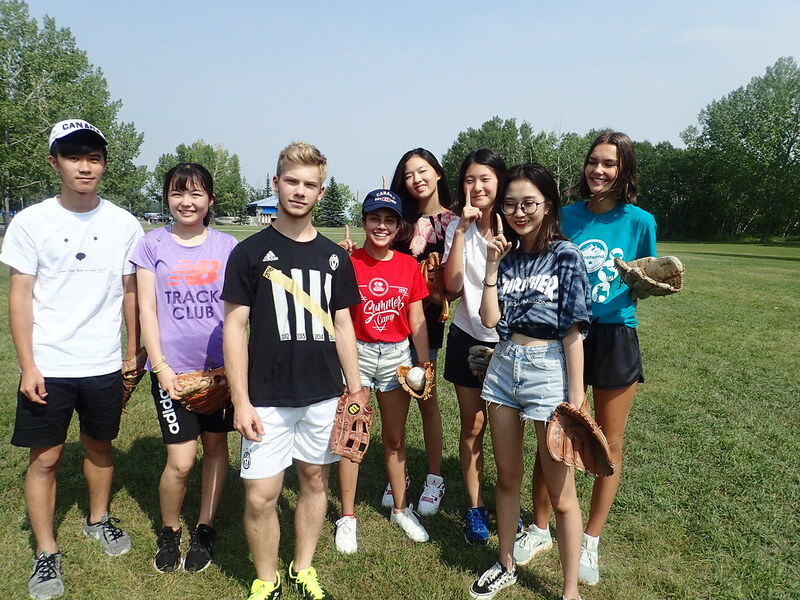 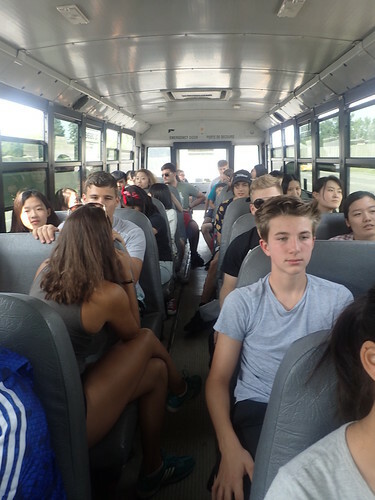 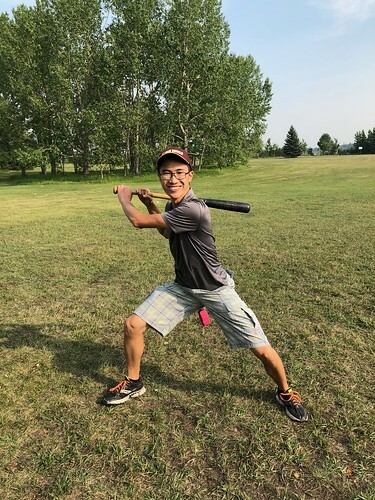 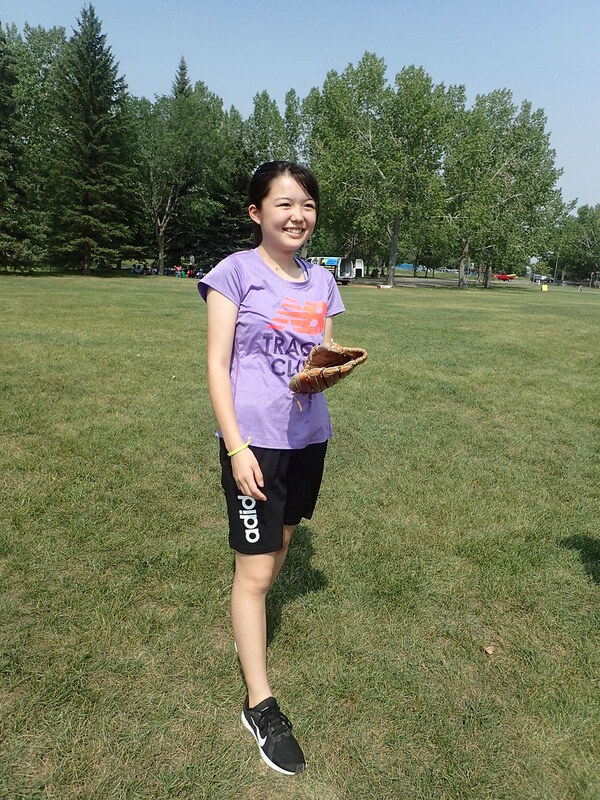 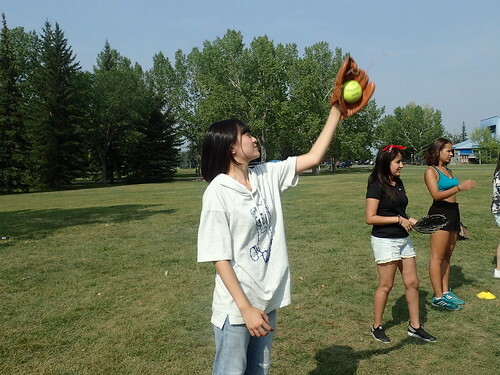 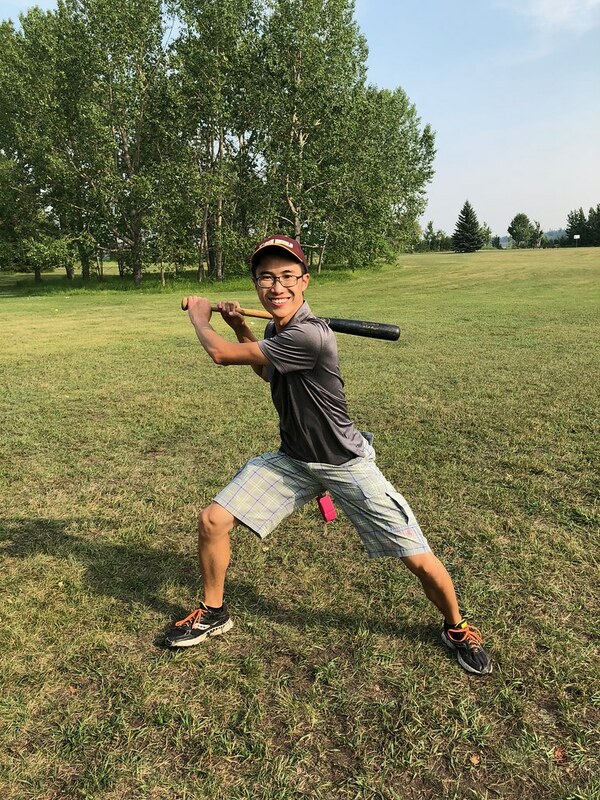 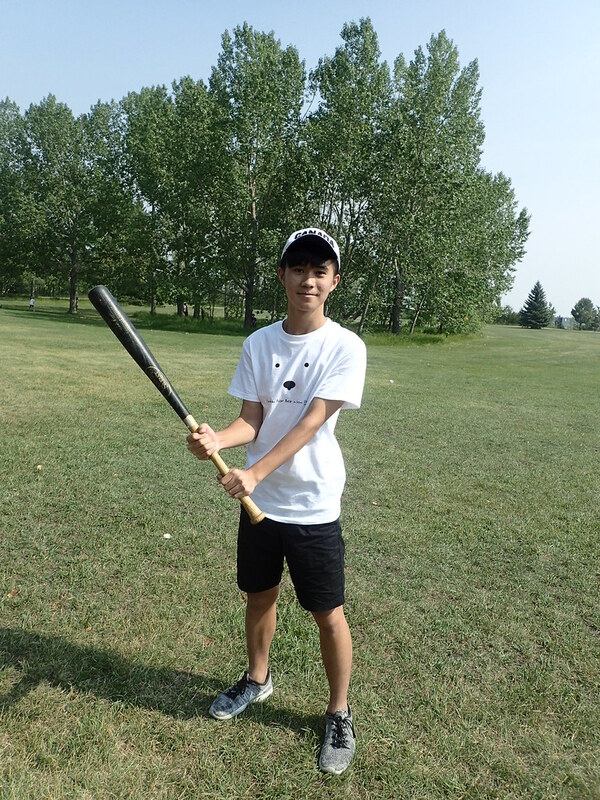 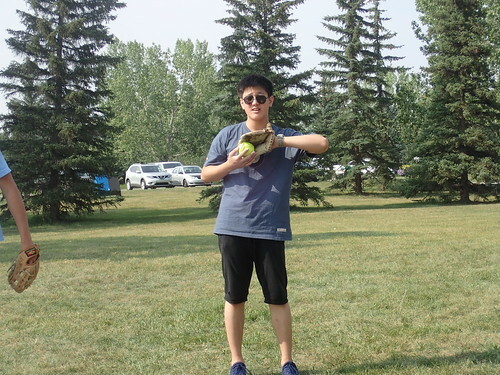 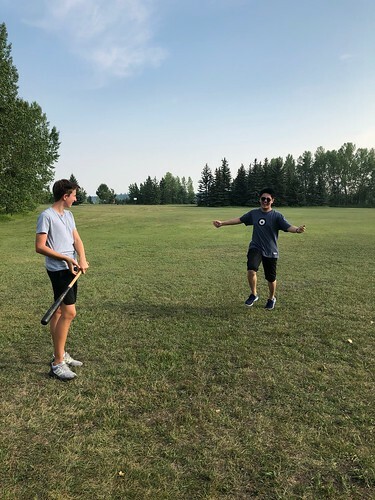 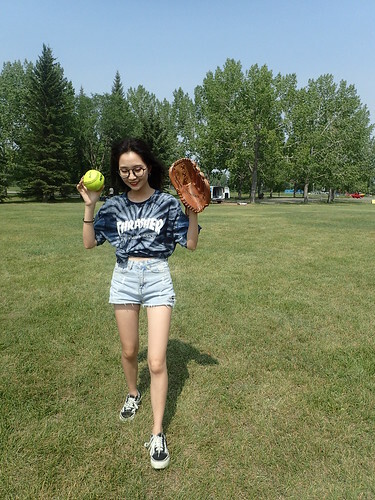 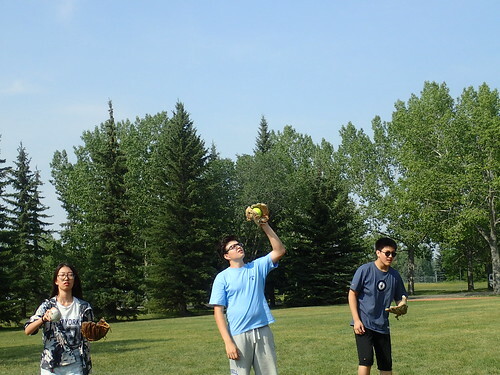 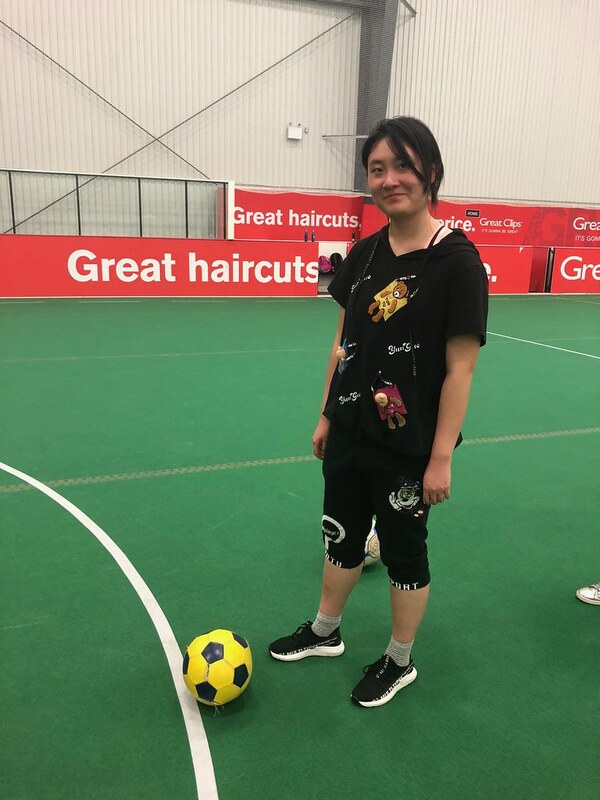 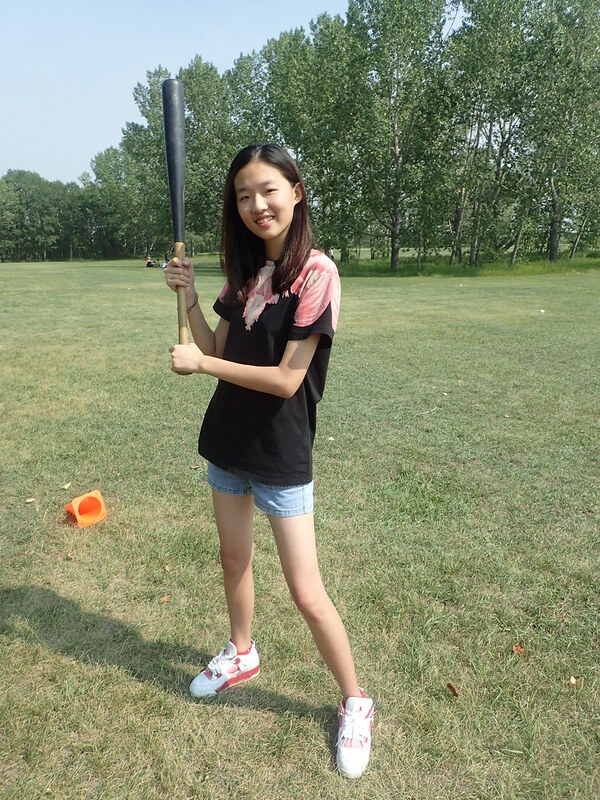 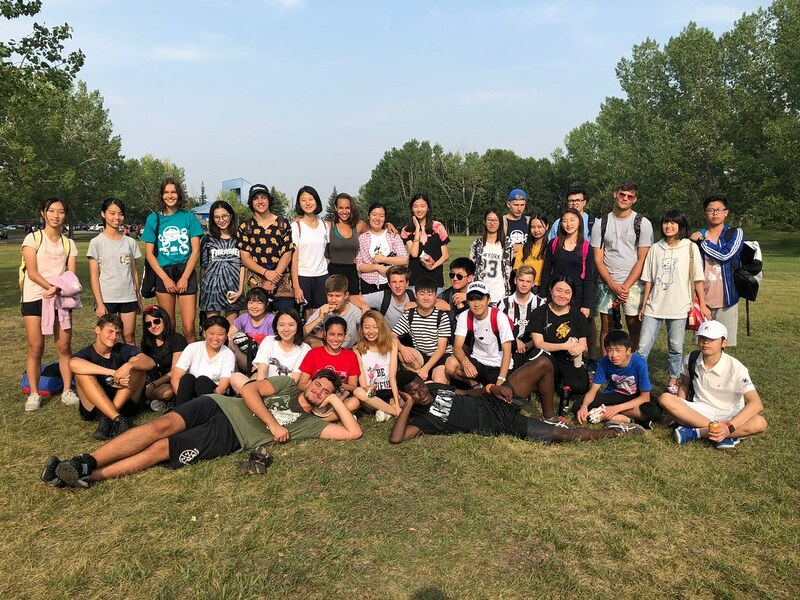 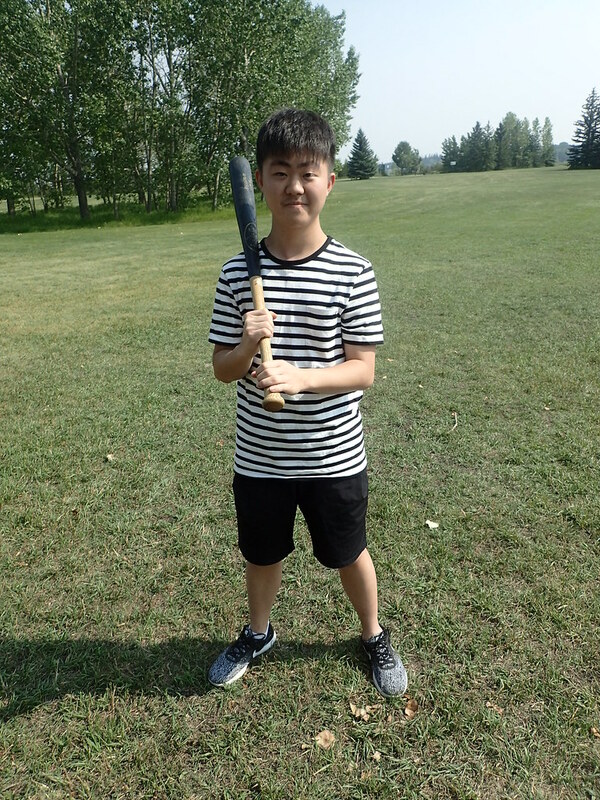 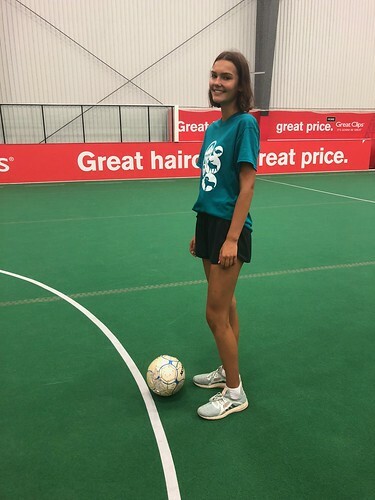 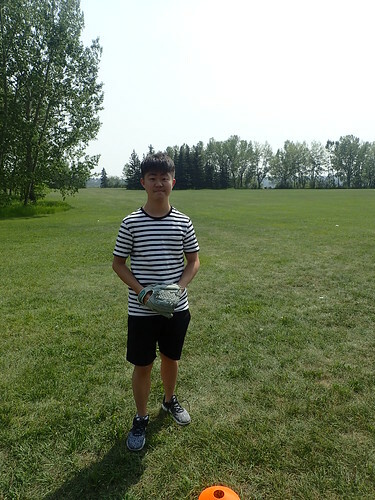 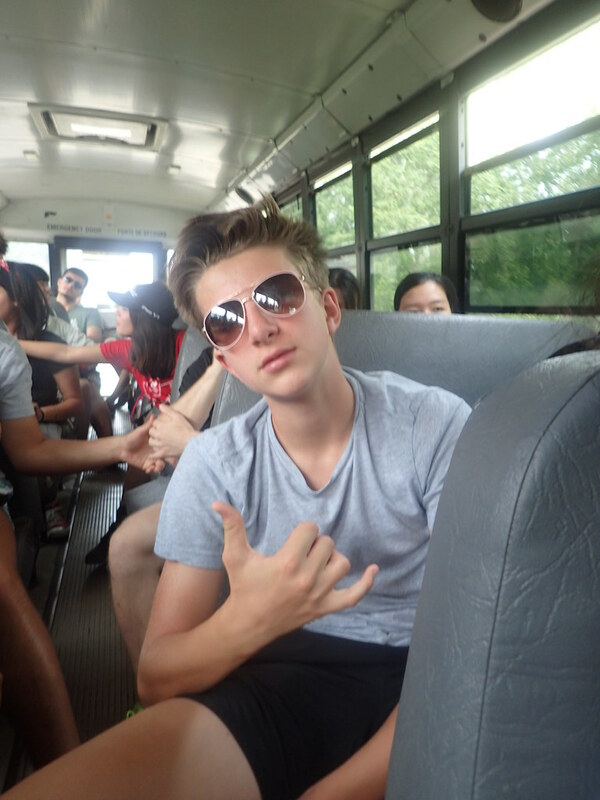 Once baseball and canoeing concluded, the students boarded the bus once again to head on over to… indoor soccer! 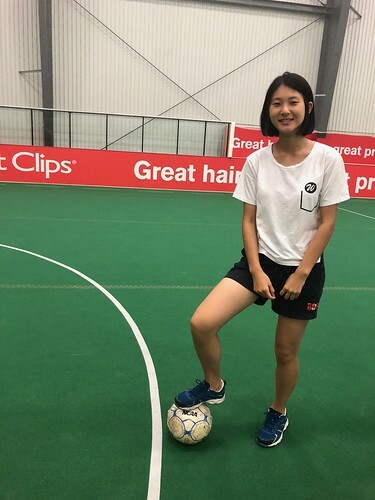 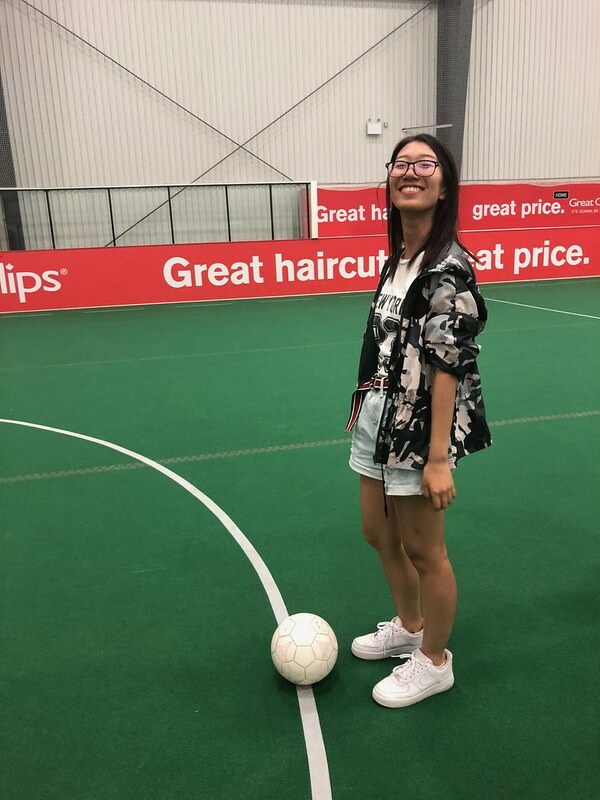 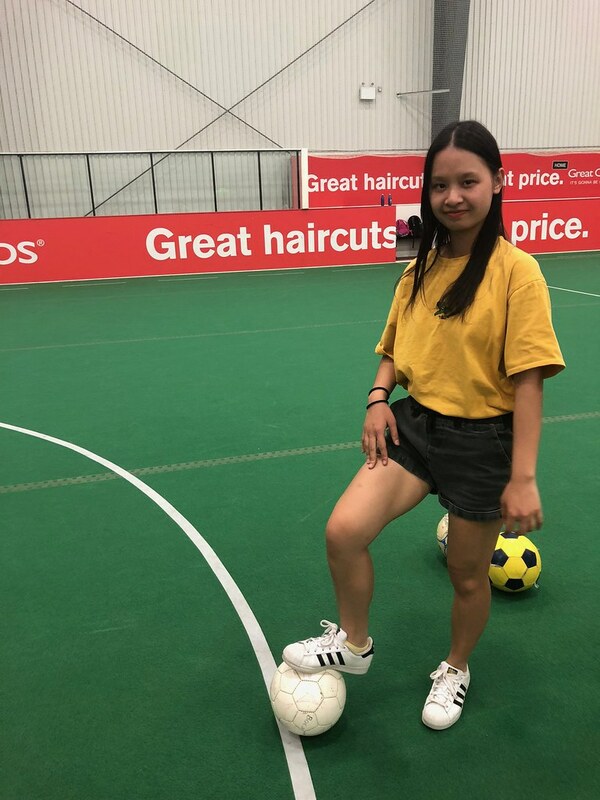 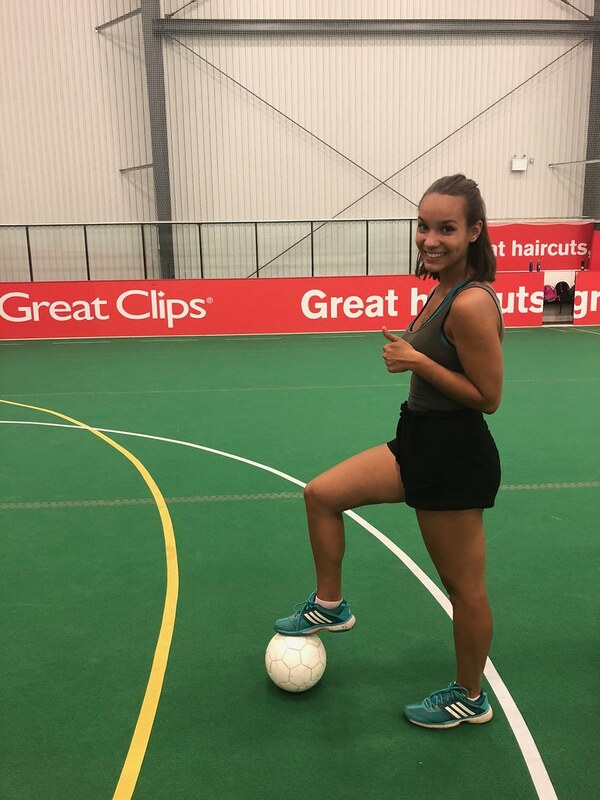 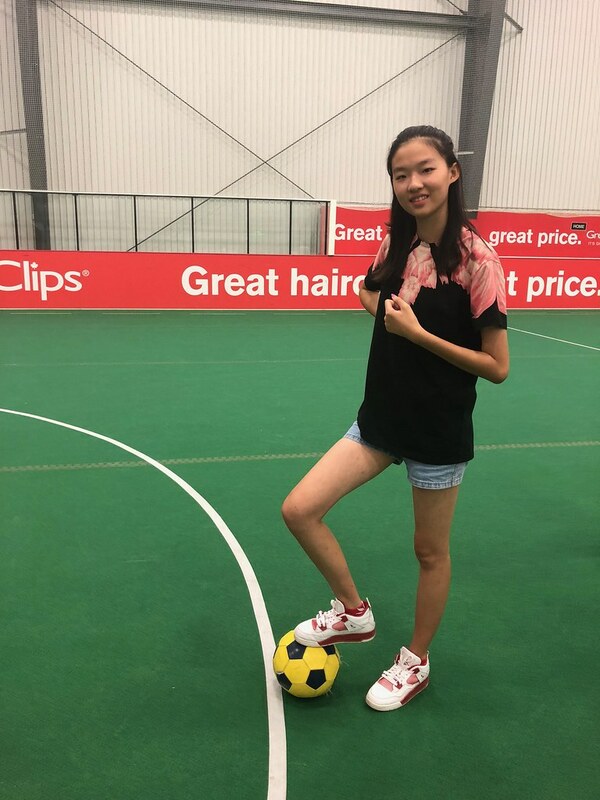 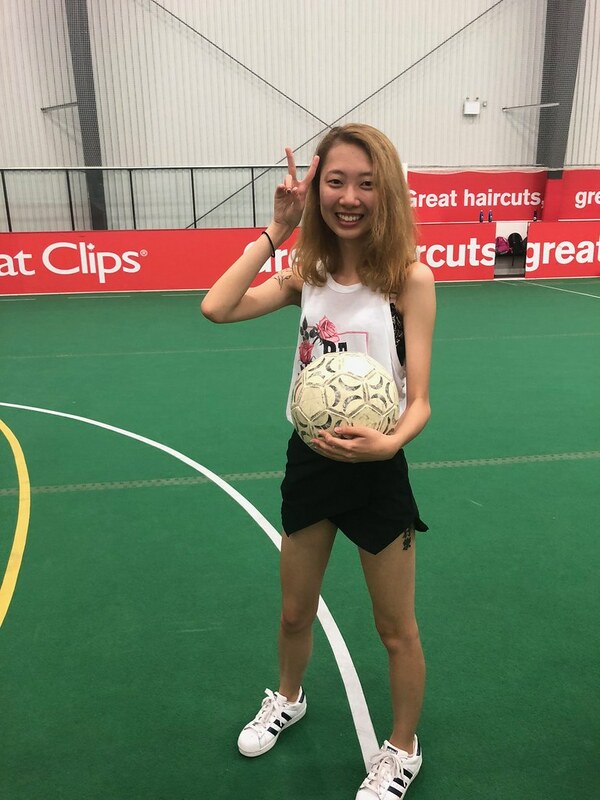 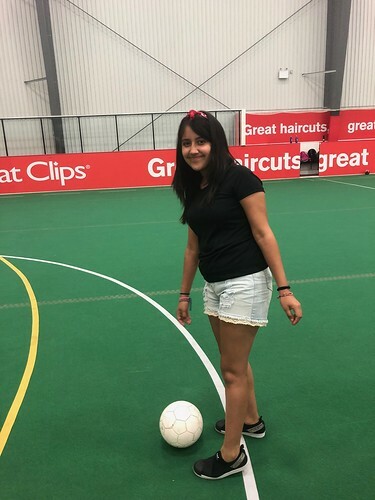 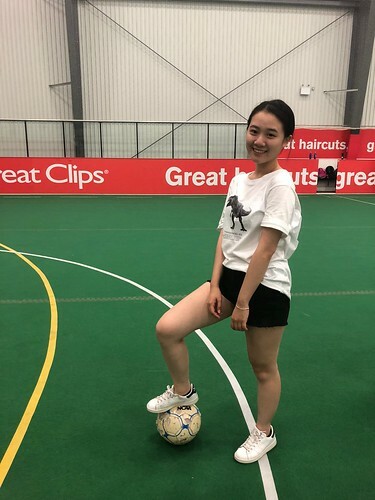 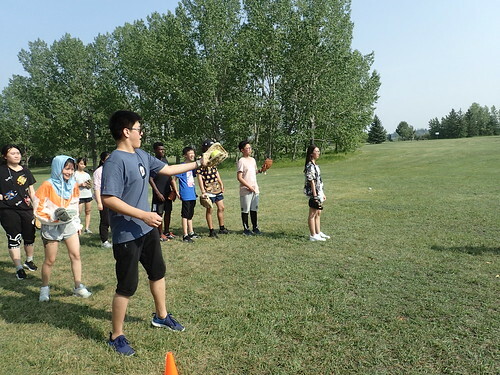 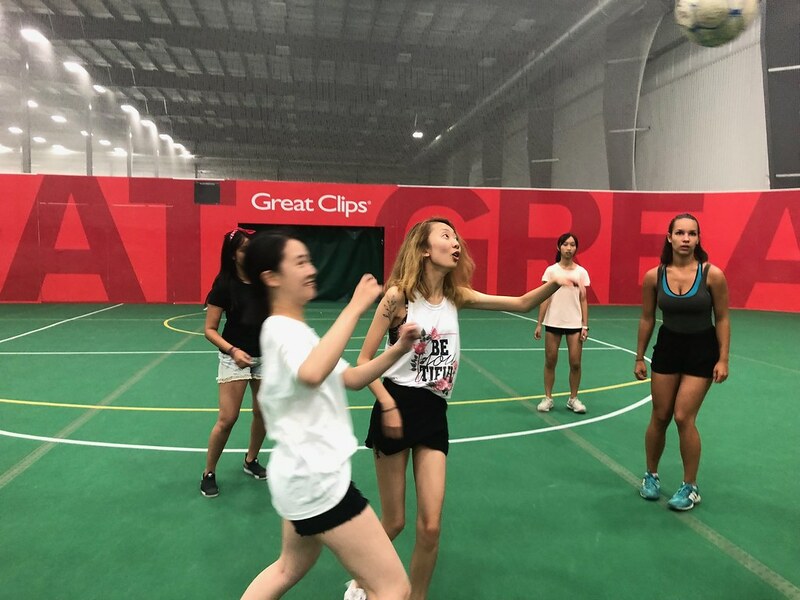 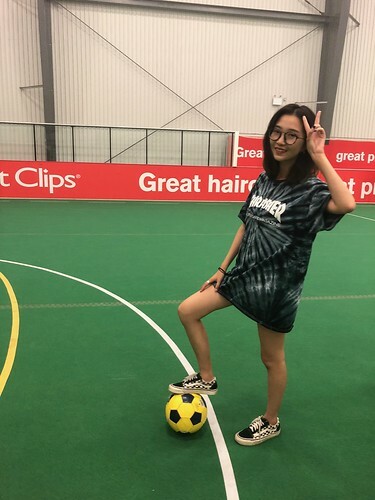 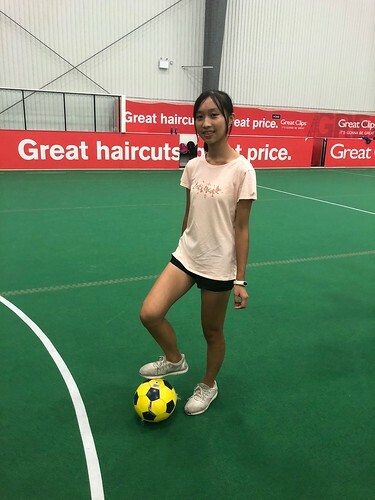 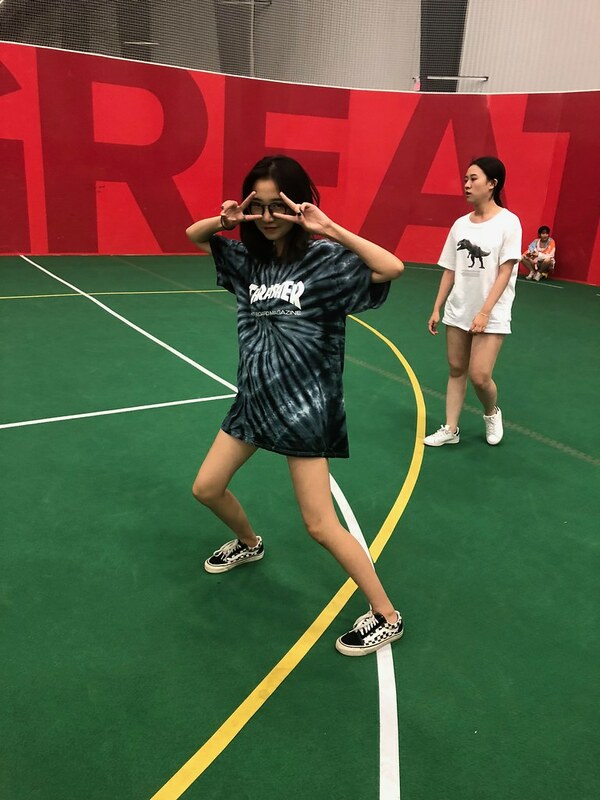 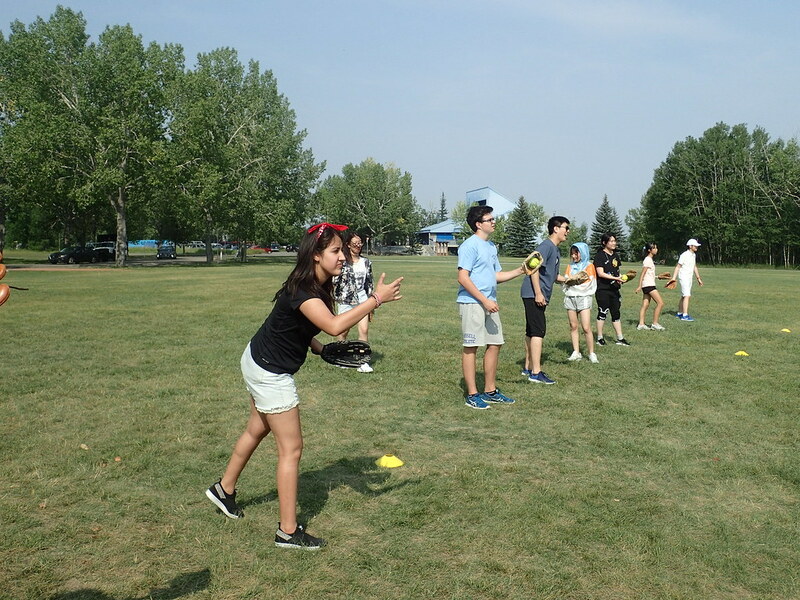 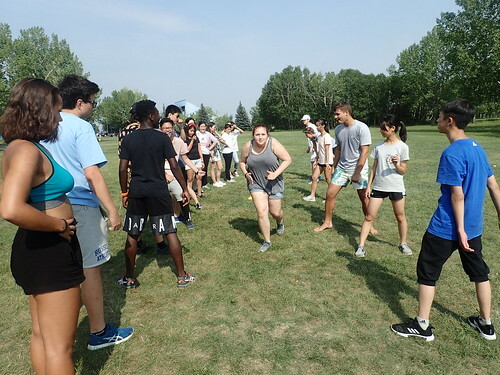 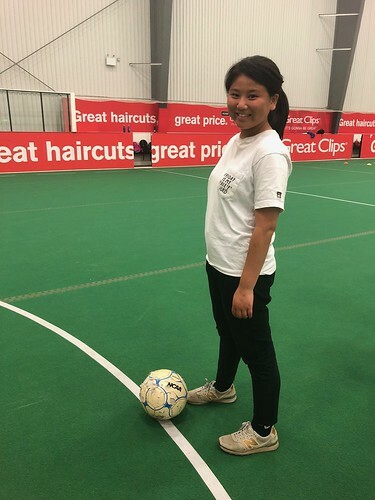 There, the students were given the opportunity to play a competitive, or recreational game. 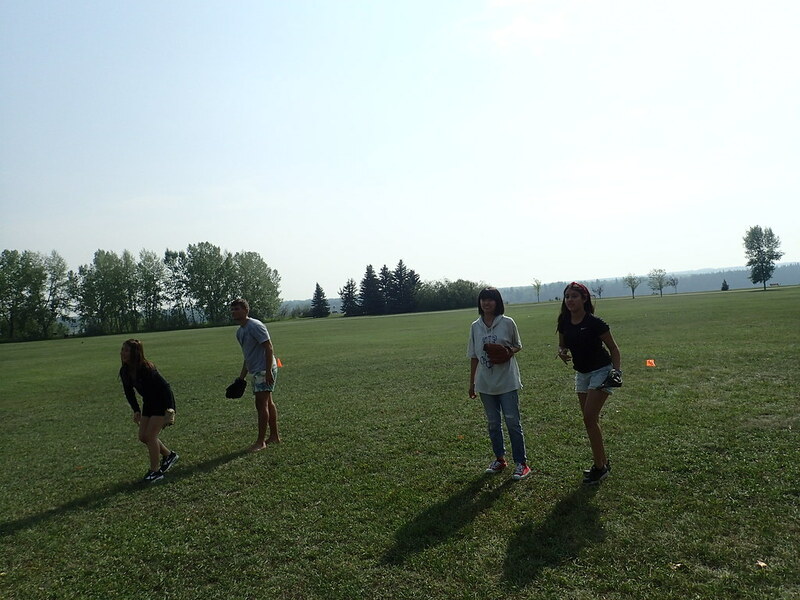 Both games were full of cheering, passing, and great soccer. 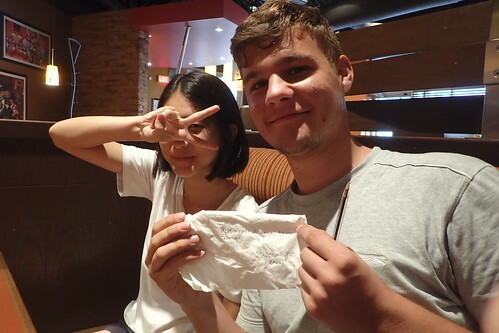 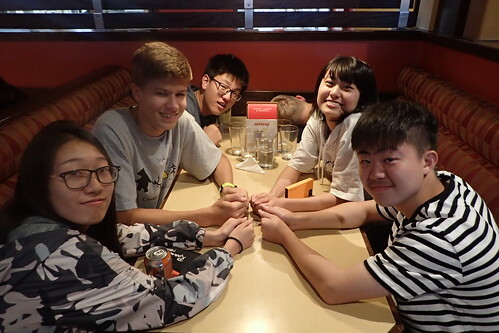 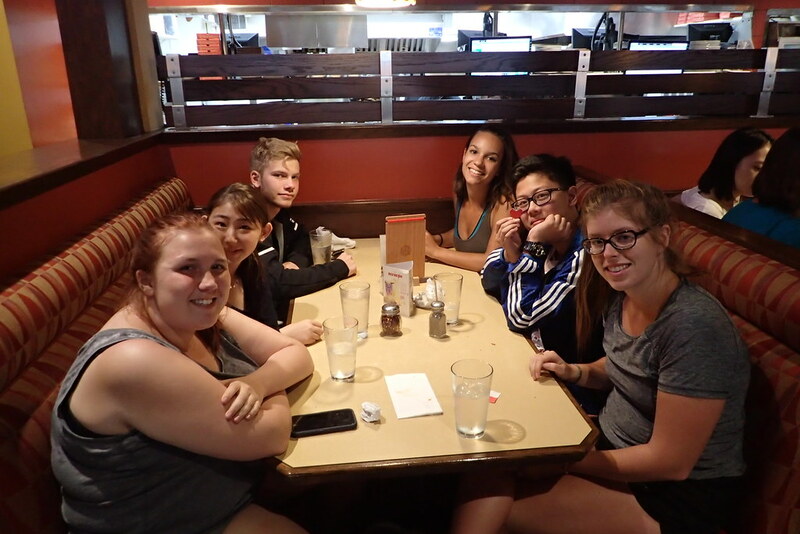 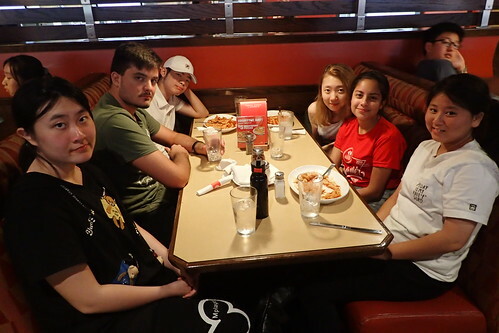 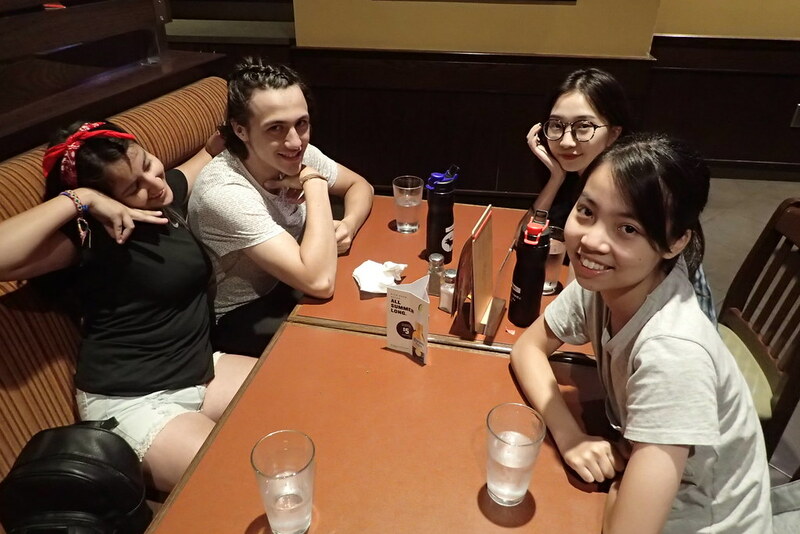 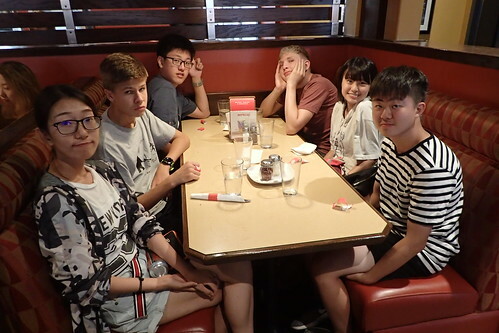 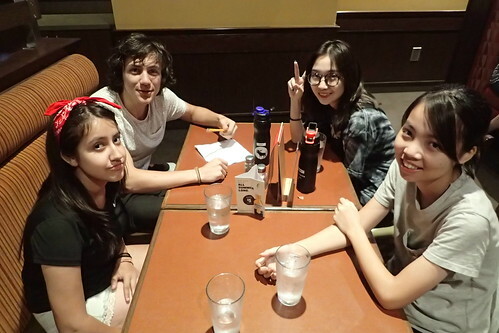 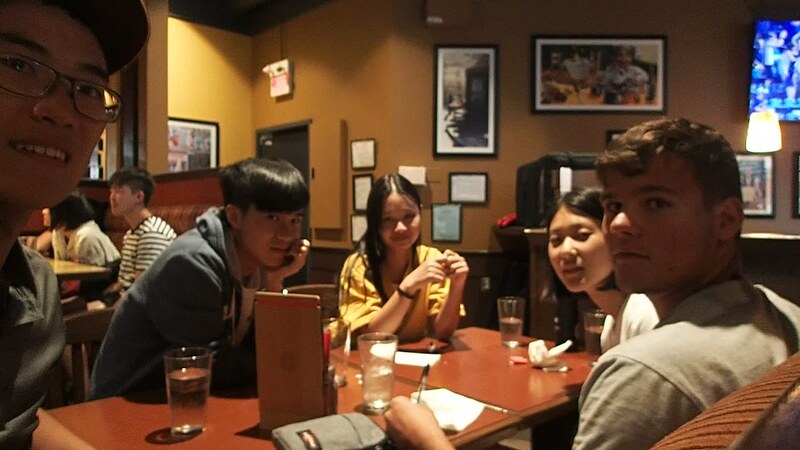 After that, the students headed to Boston Pizza for a delicious dinner! 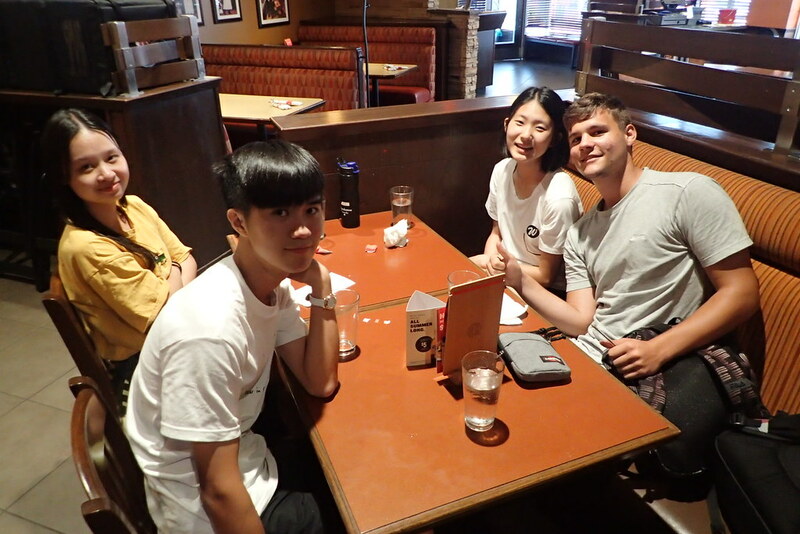 Great conversation was shared, and some students even learnt how to properly say the name of an Italian student who has four words in his name! We then headed back to SAIT where we began preparations for our Owls Wynchemna Talent Show! 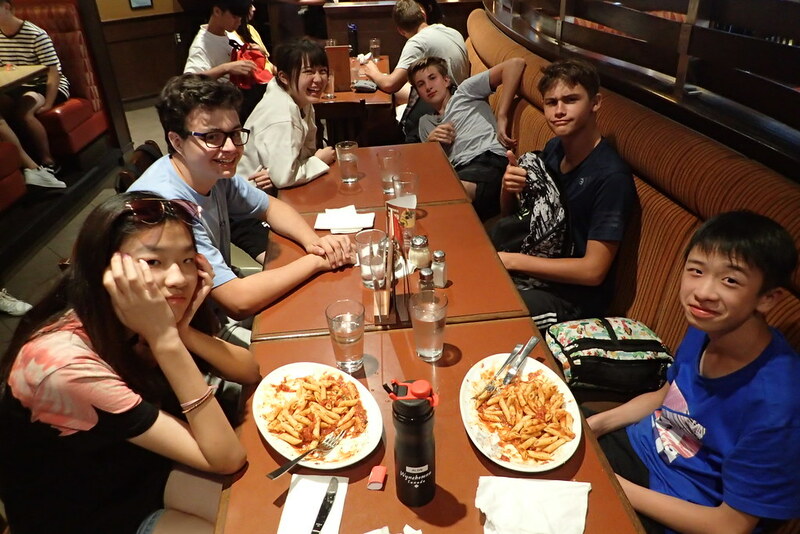 More details to be shared later… We are excited for another day tomorrow!